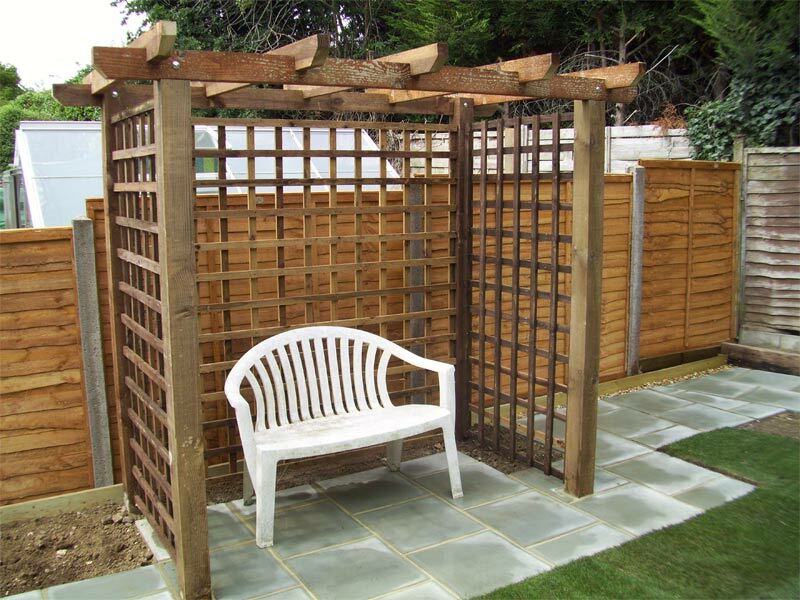 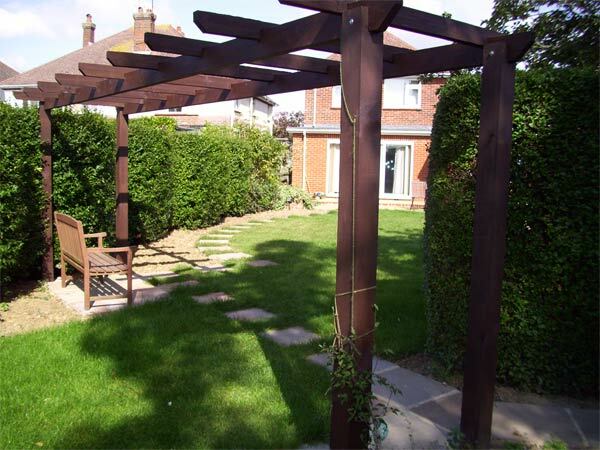 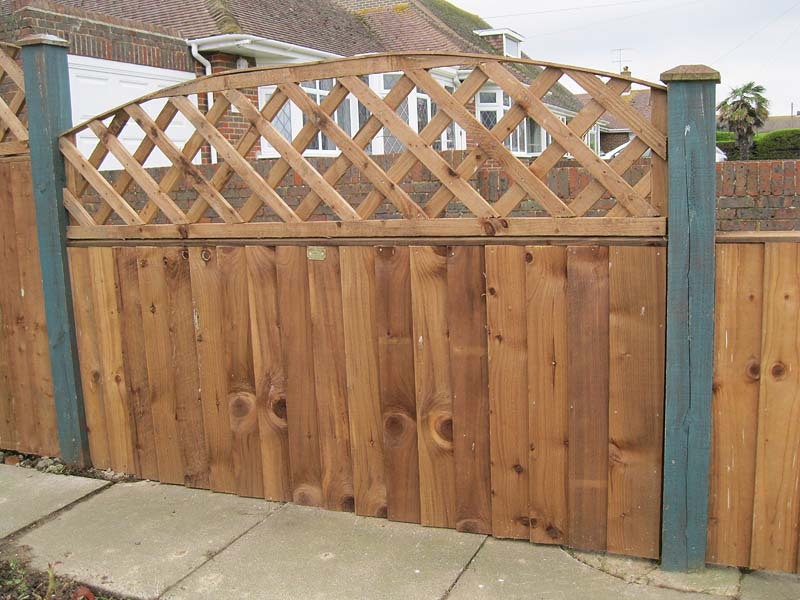 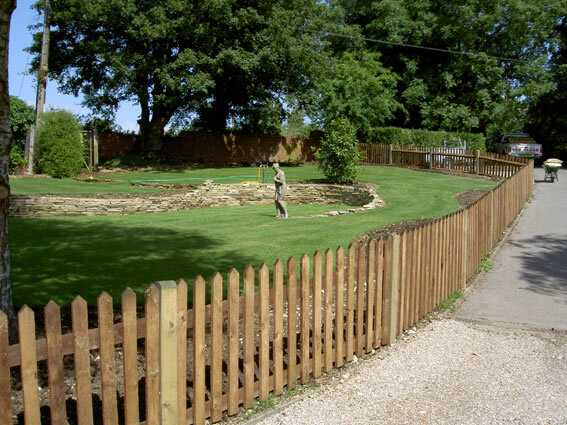 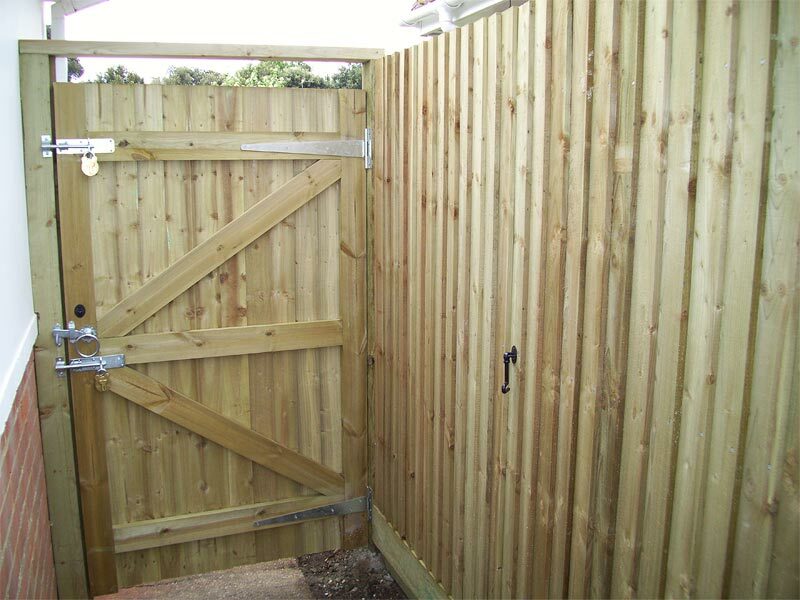 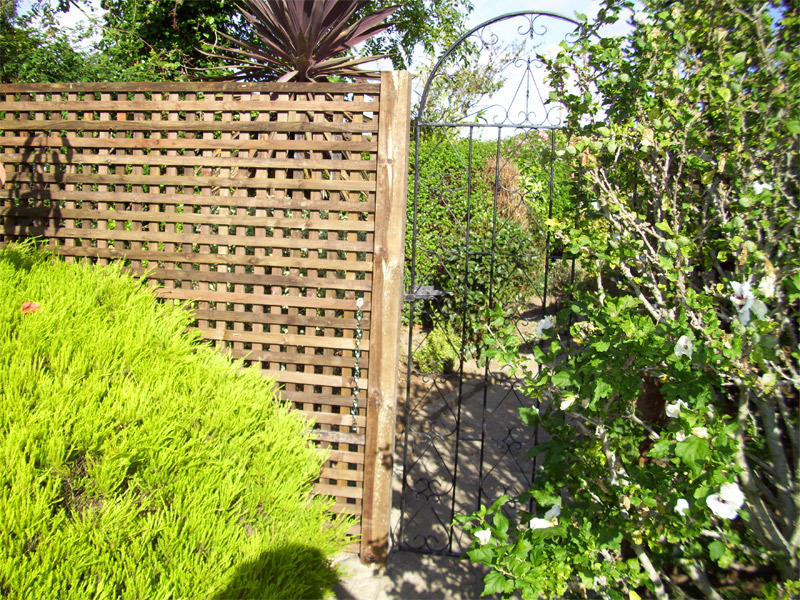 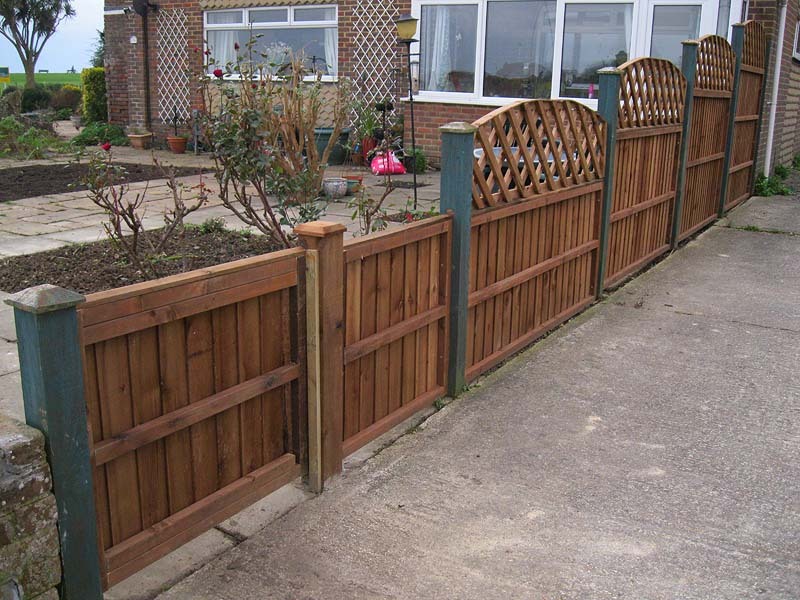 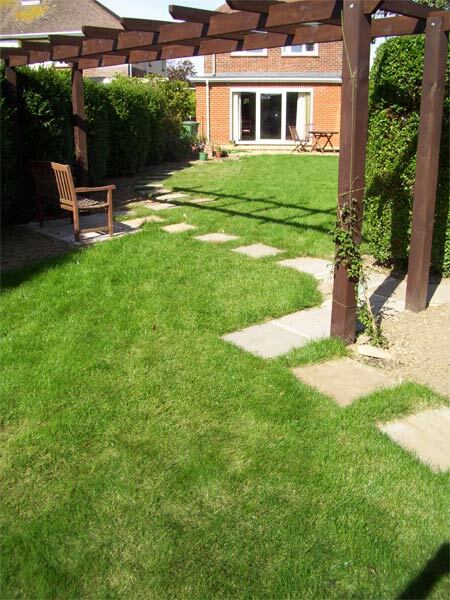 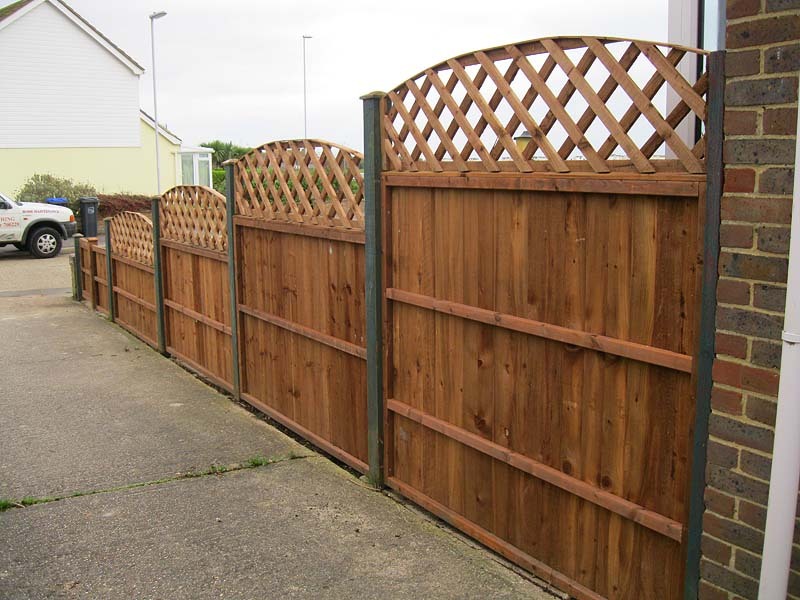 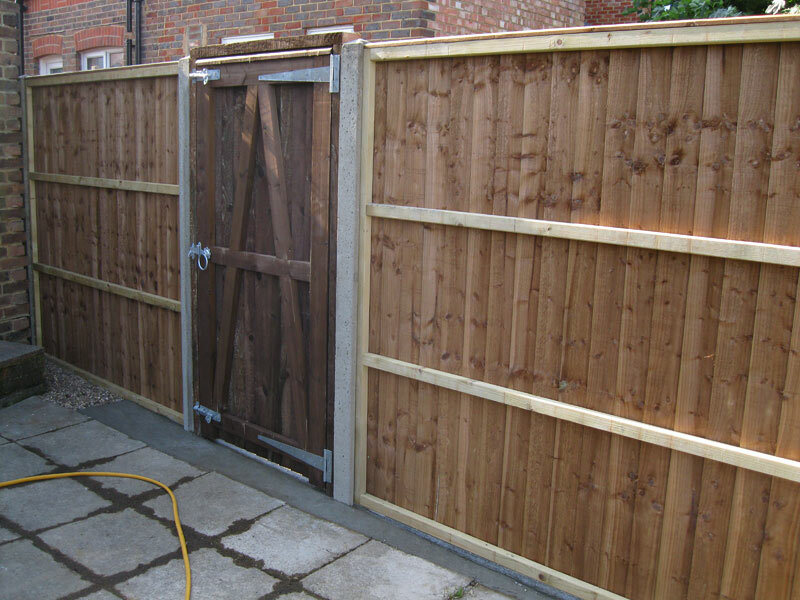 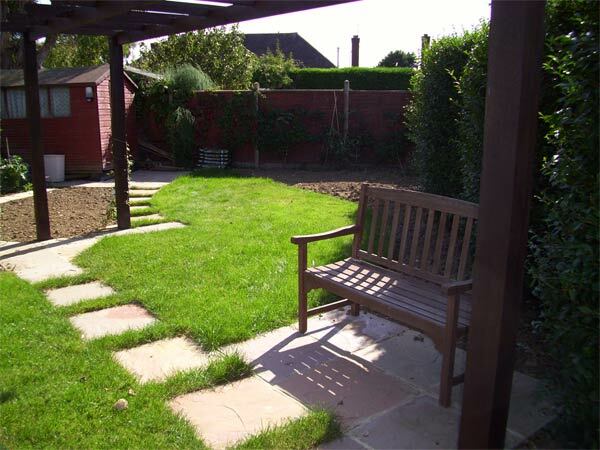 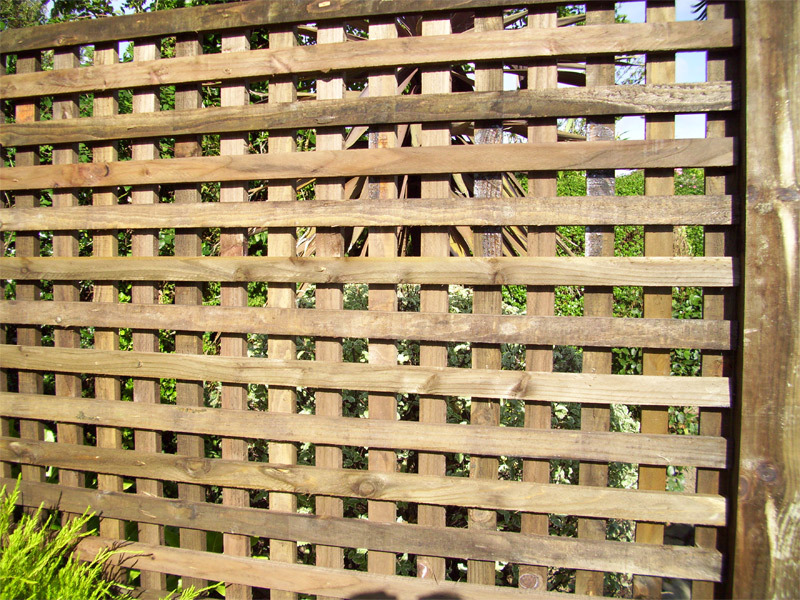 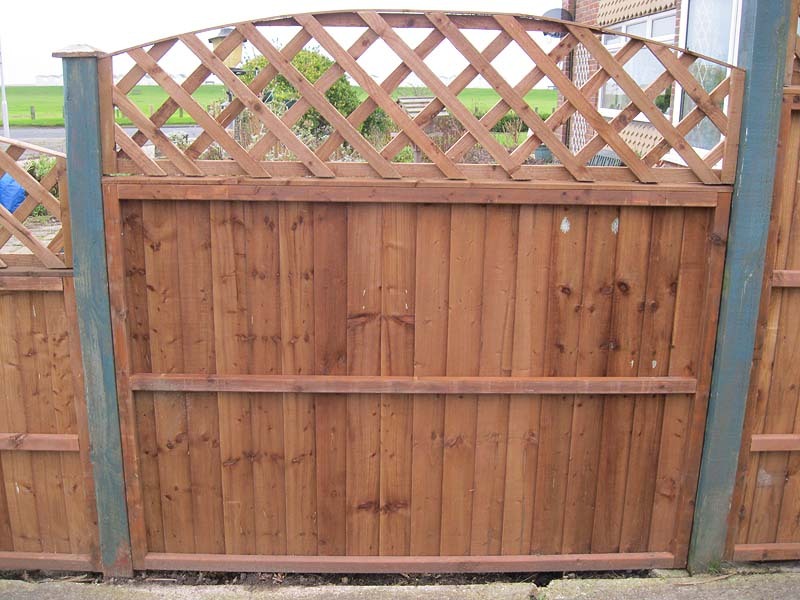 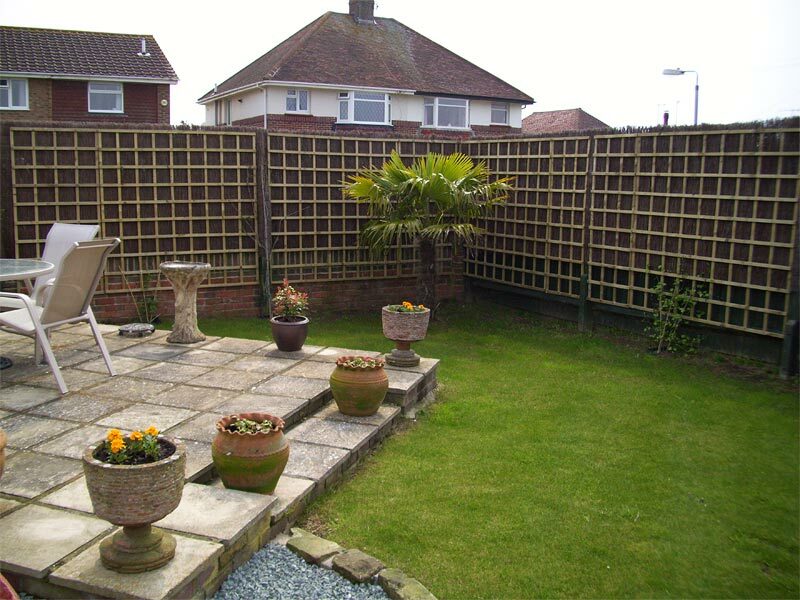 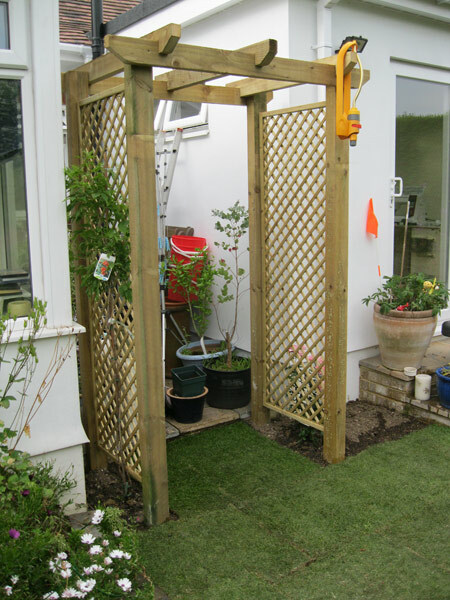 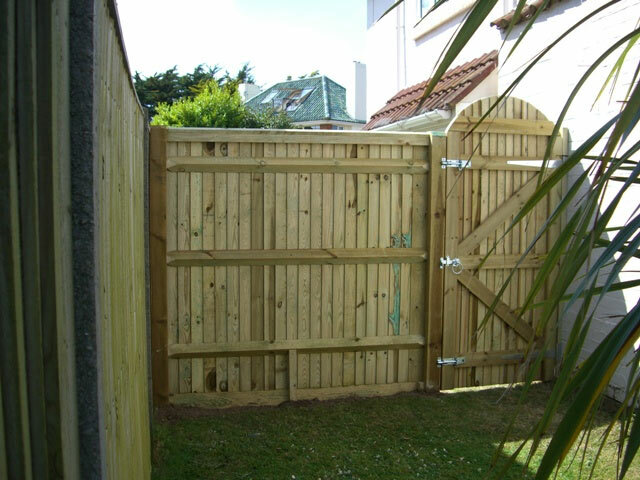 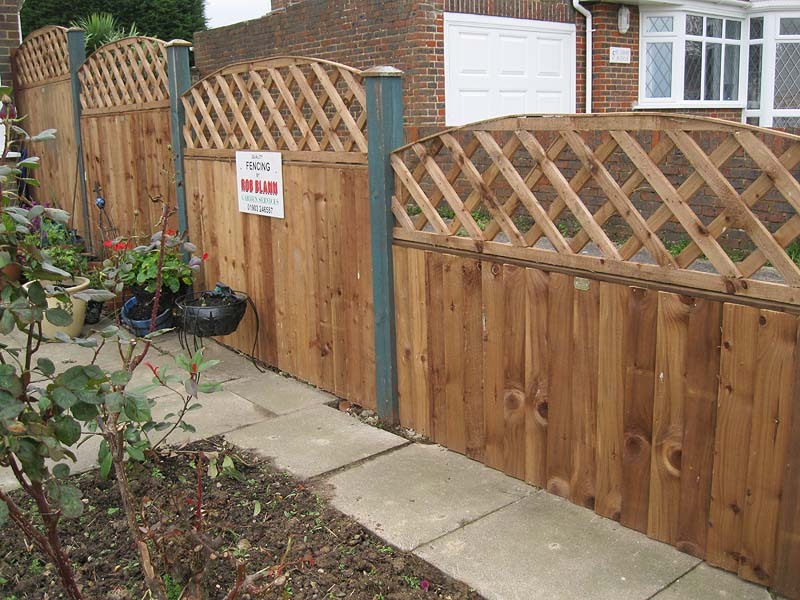 We provide and erect a range of good quality fences, trellis work and gates to your specific requirements. 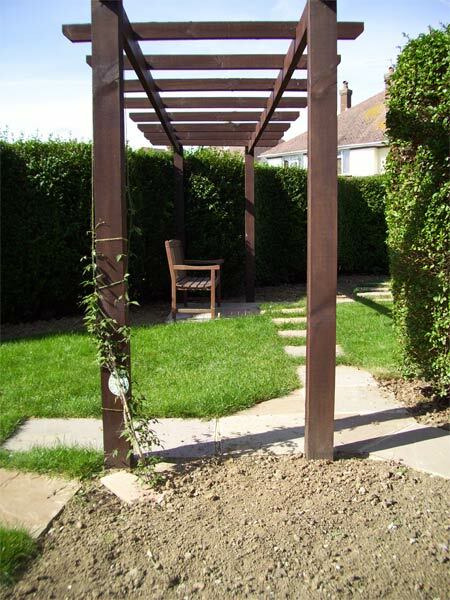 All timber-work is pre-treated and pressure-treated against rot for longevity and comes from approved sustainable sources. 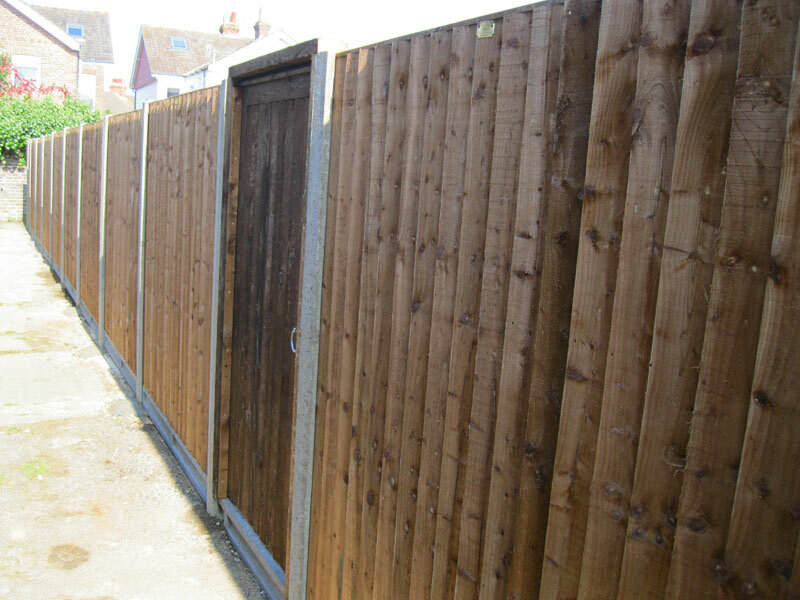 Separate treatment service available for older fences and sheds. We use good quality, strongly made "fully framed" Panels which have timber batten around the entire outside edge on both sides. 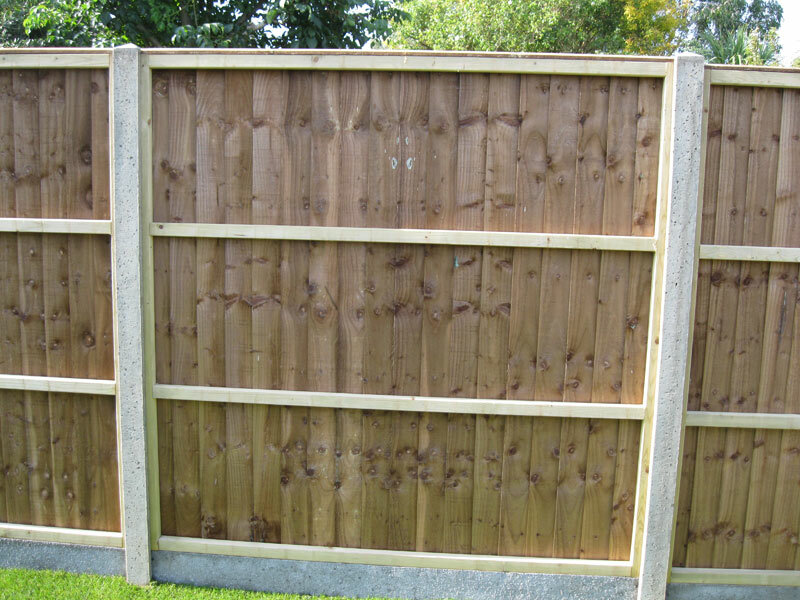 Panels are available in a number of common heights: 3ft (915mm), 4ft (1220mm), 5ft (1525mm) and 6ft (1830mm). 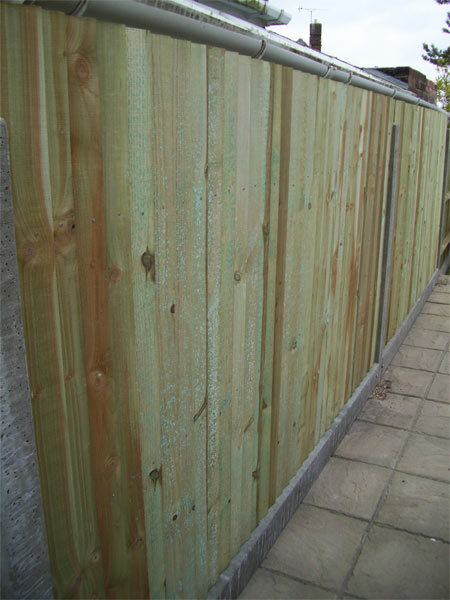 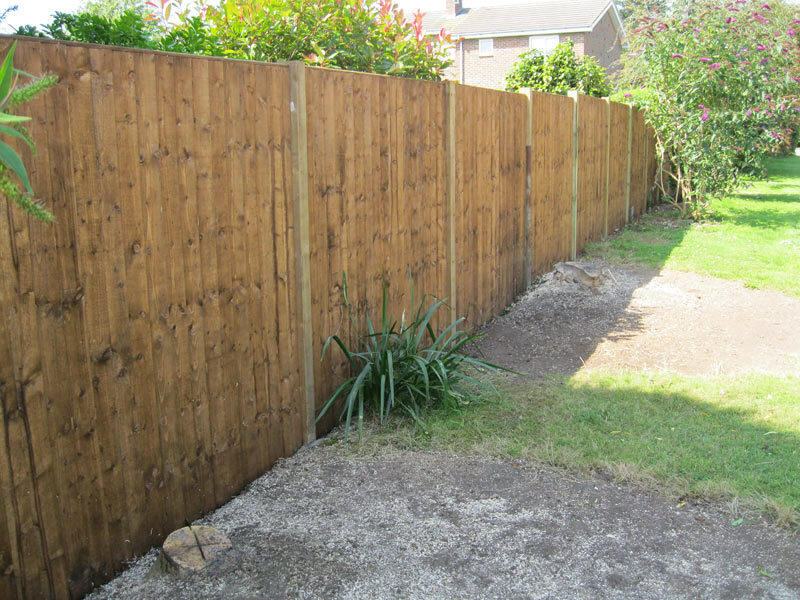 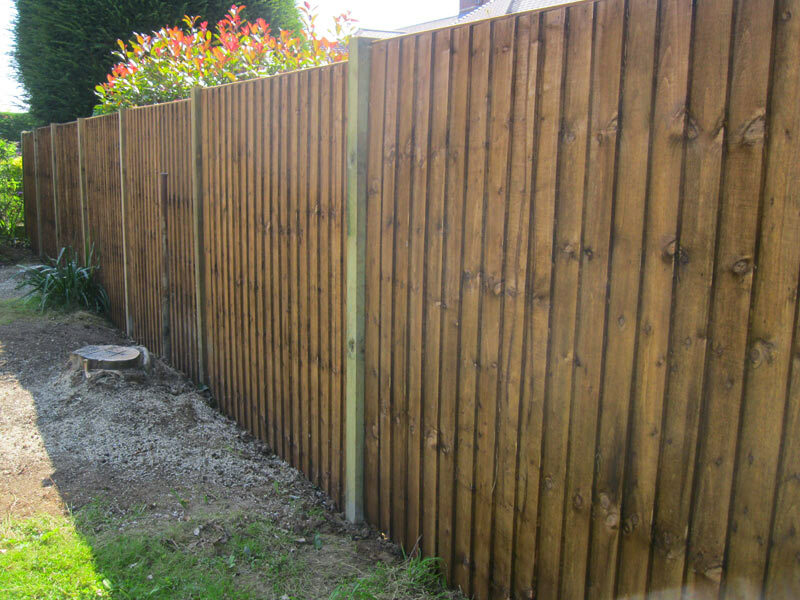 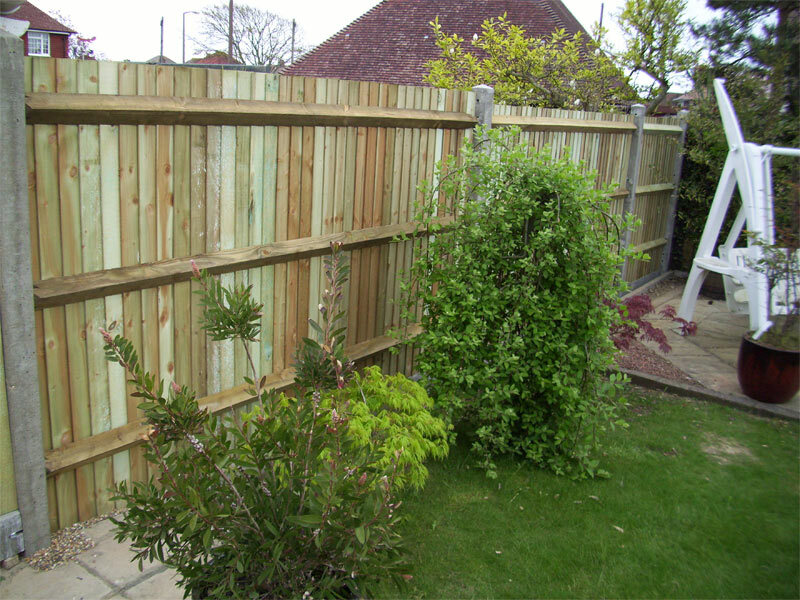 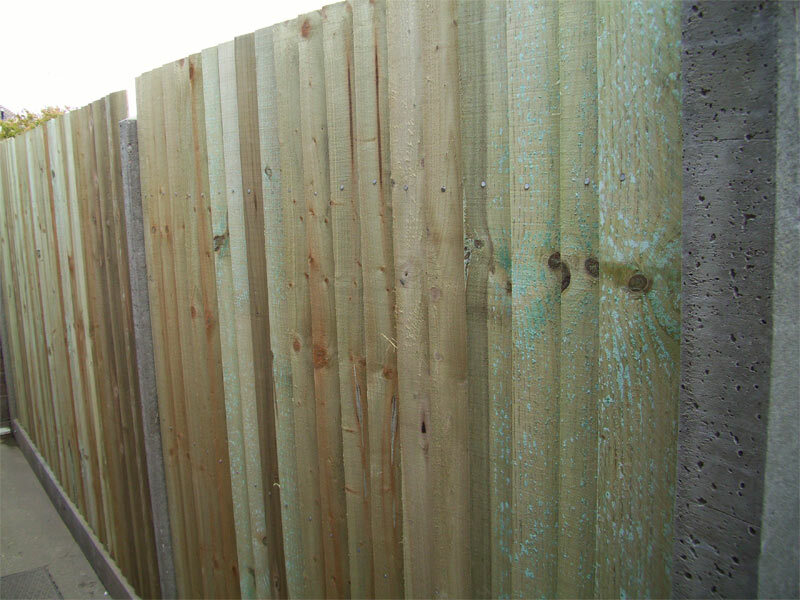 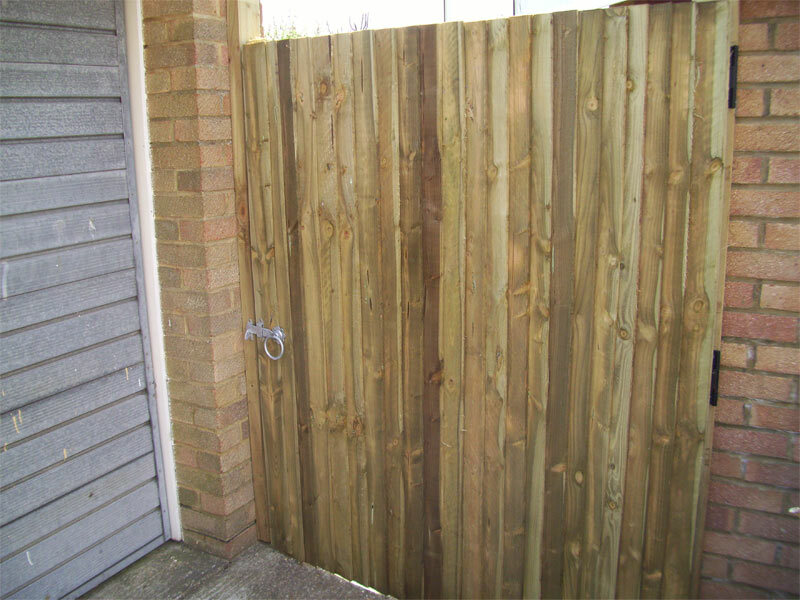 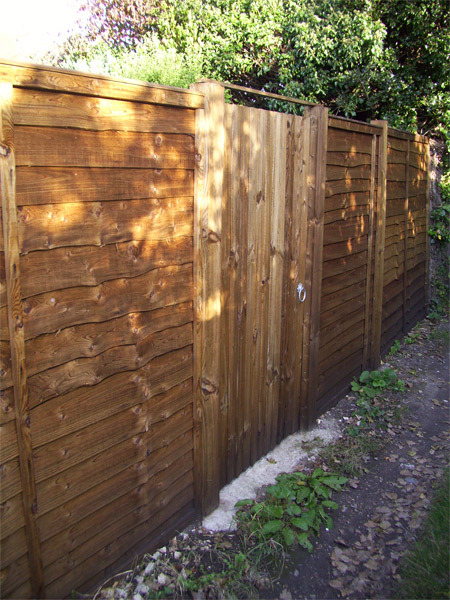 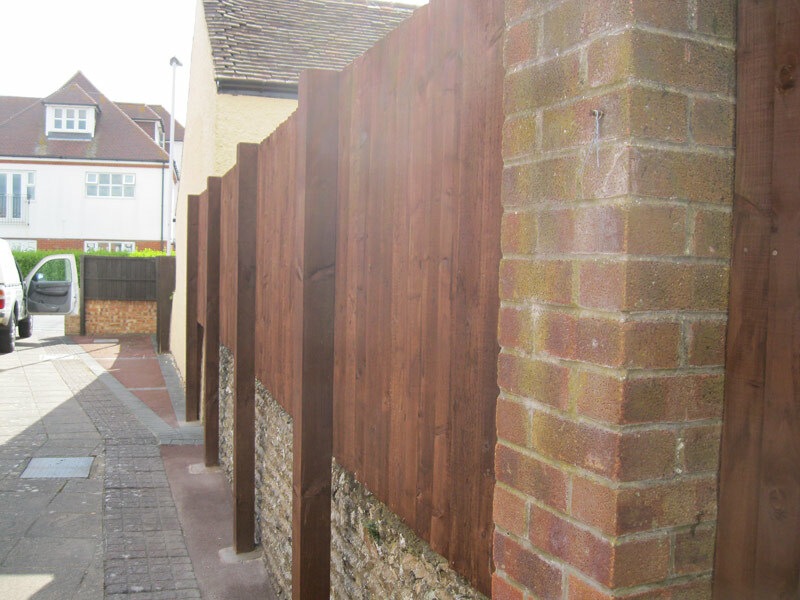 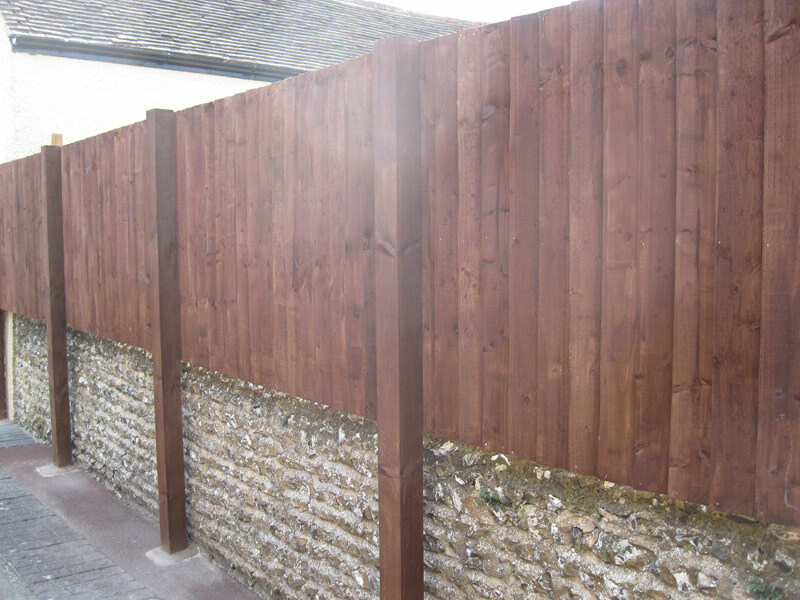 Constructed on site with featheredge cladding boards on a framework of arris rails (triangular in section) morticed into 4” x 4” posts, Closeboard is very flexible in its style: as its appearance can be changed to best suit the situation, the height and length can be adjusted to the surroundings. 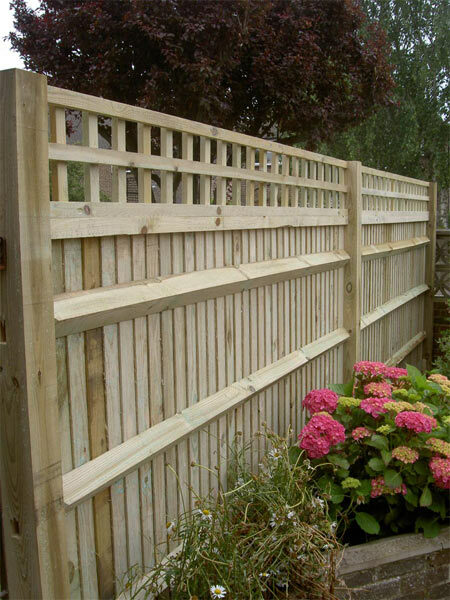 It is a longer-lasting fence. 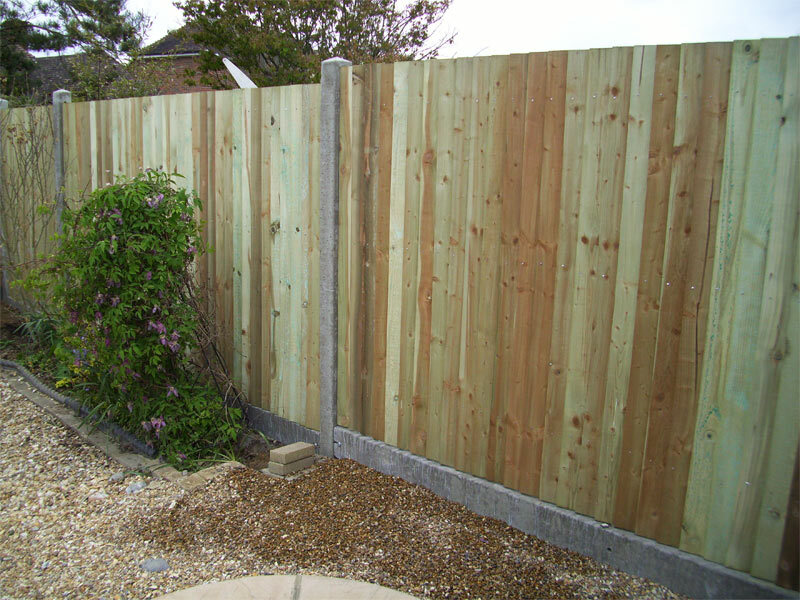 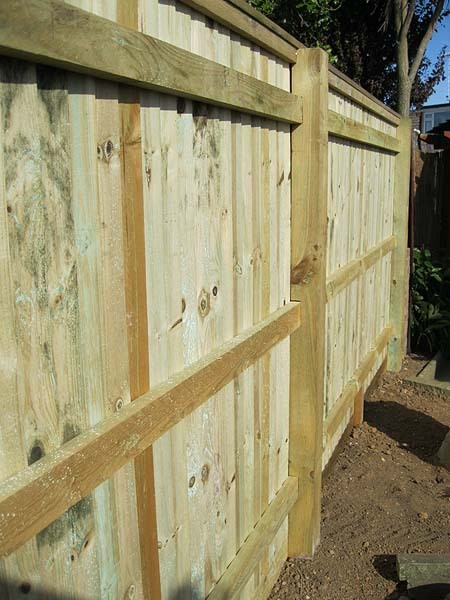 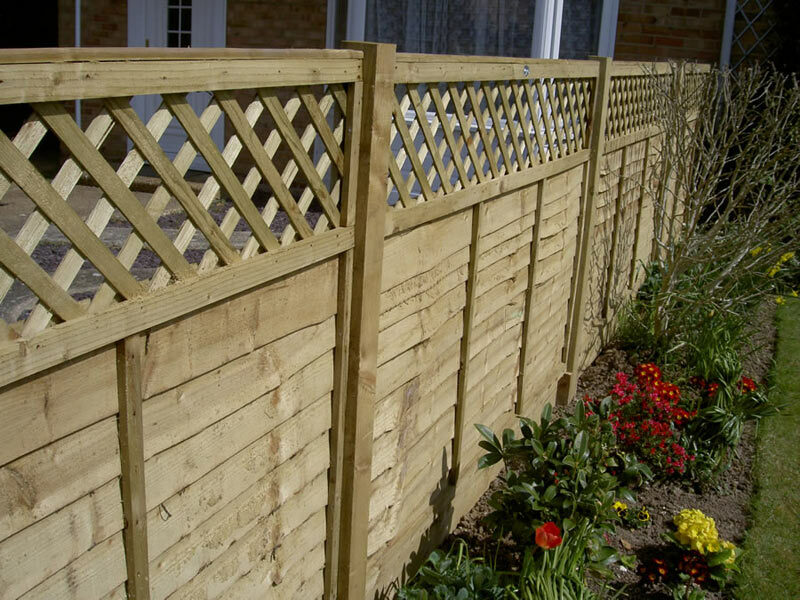 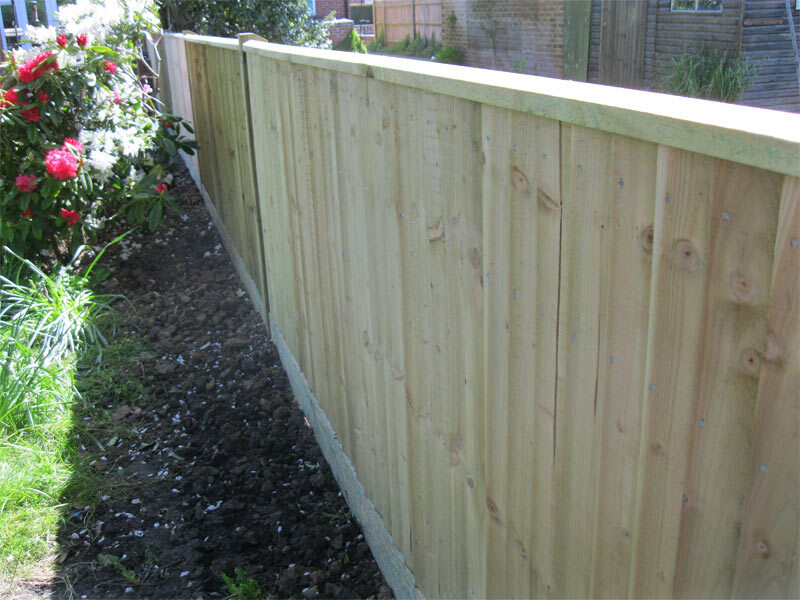 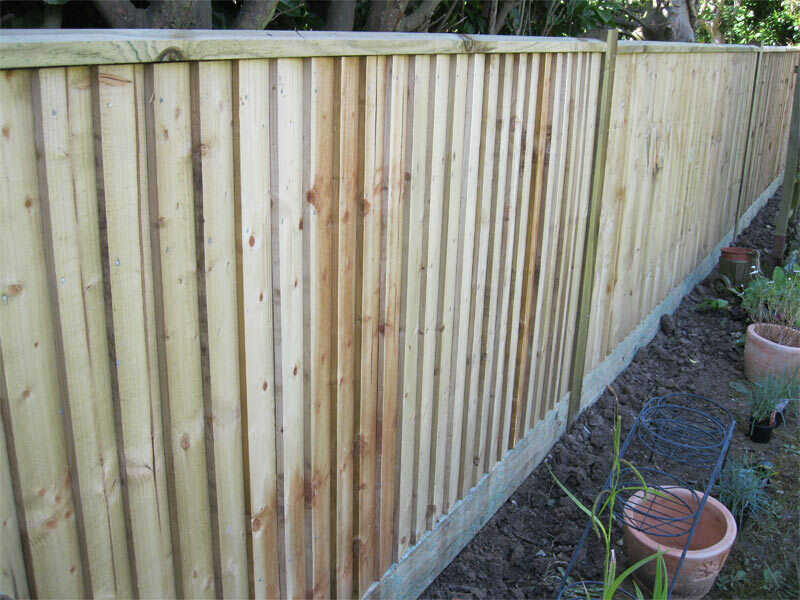 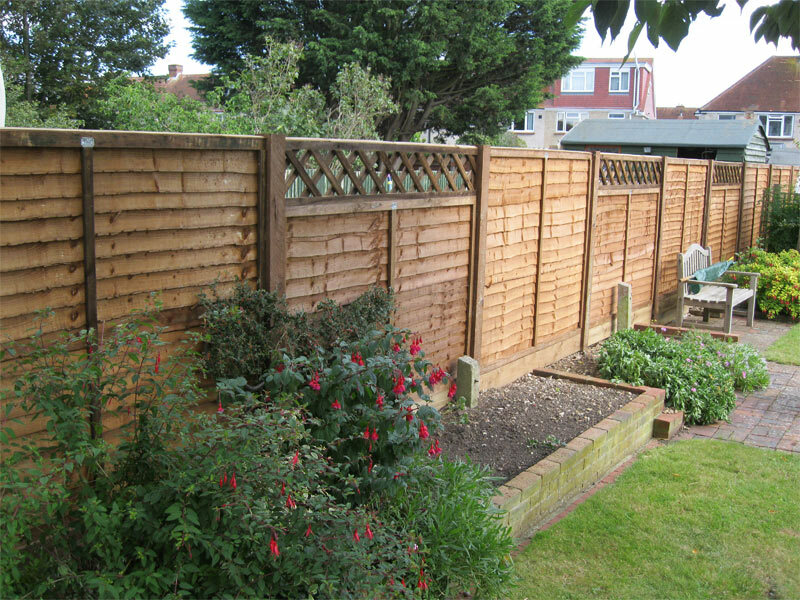 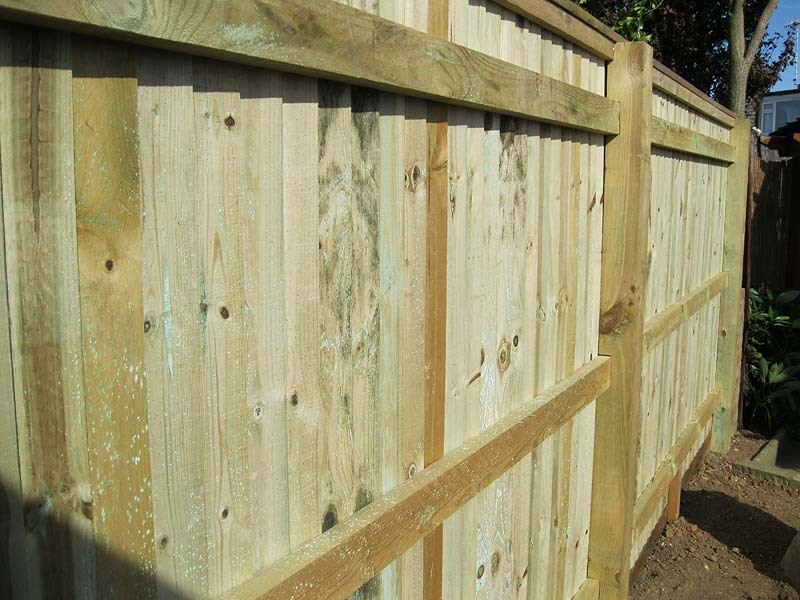 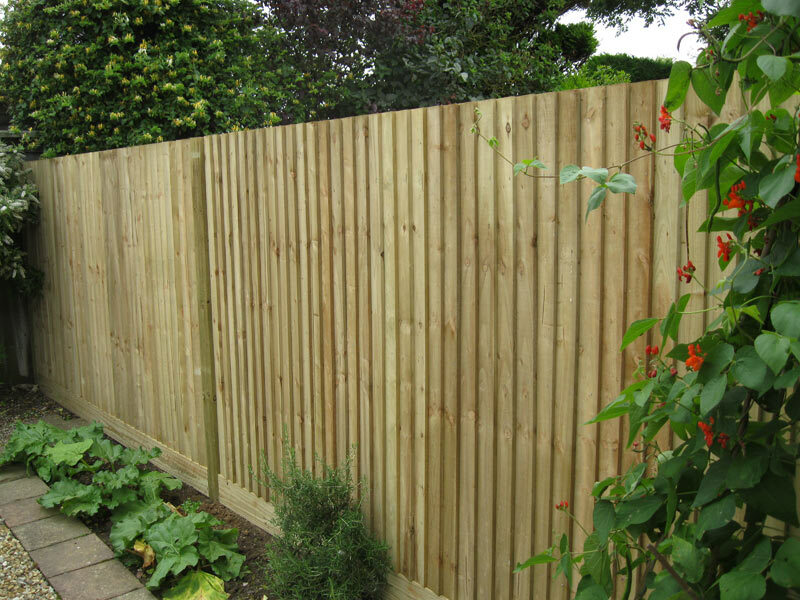 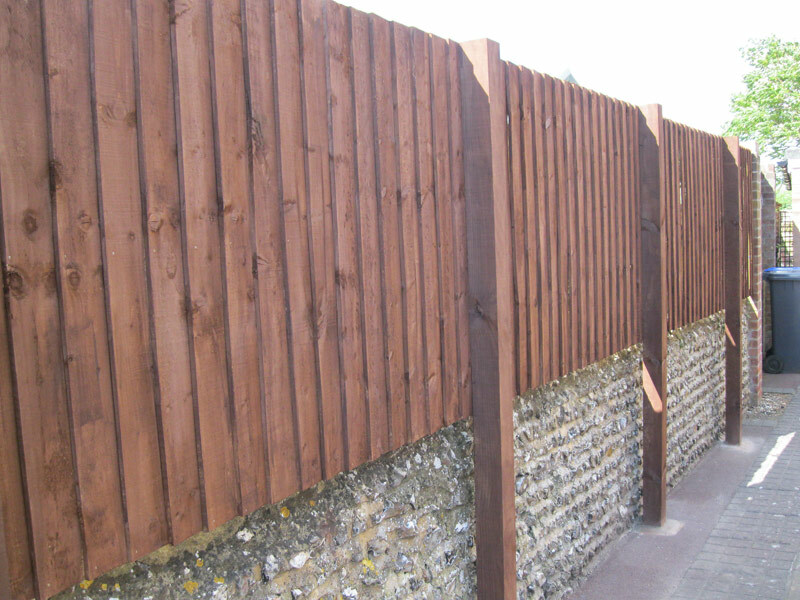 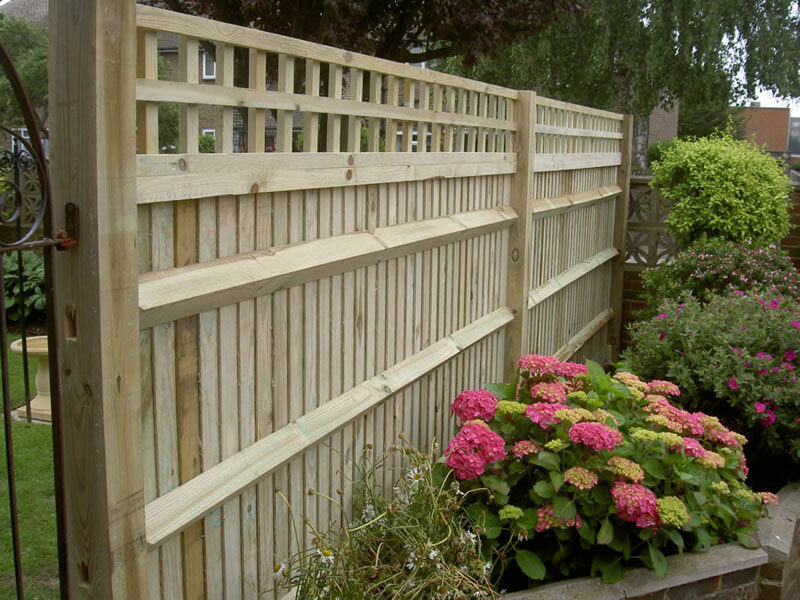 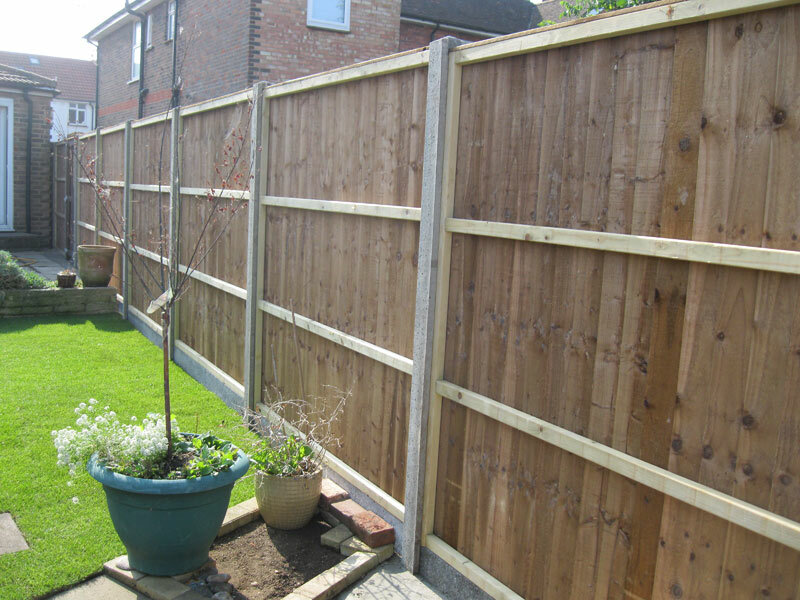 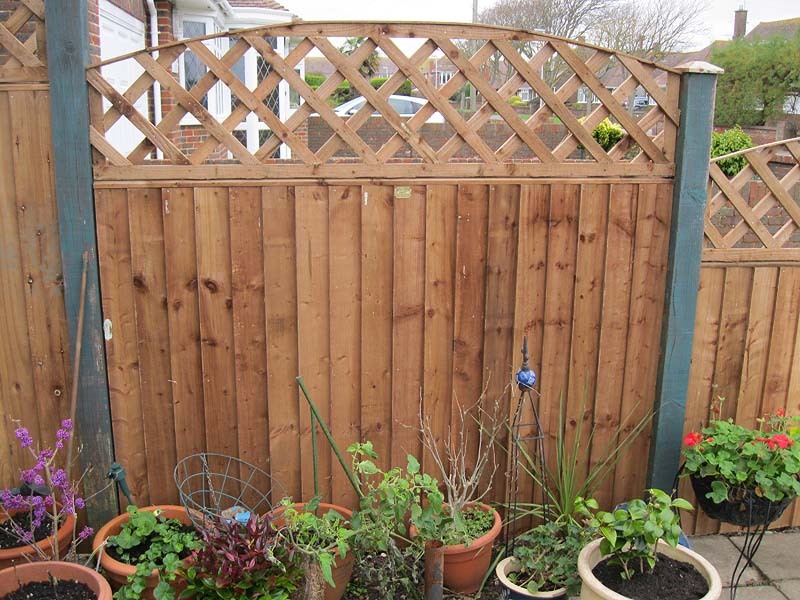 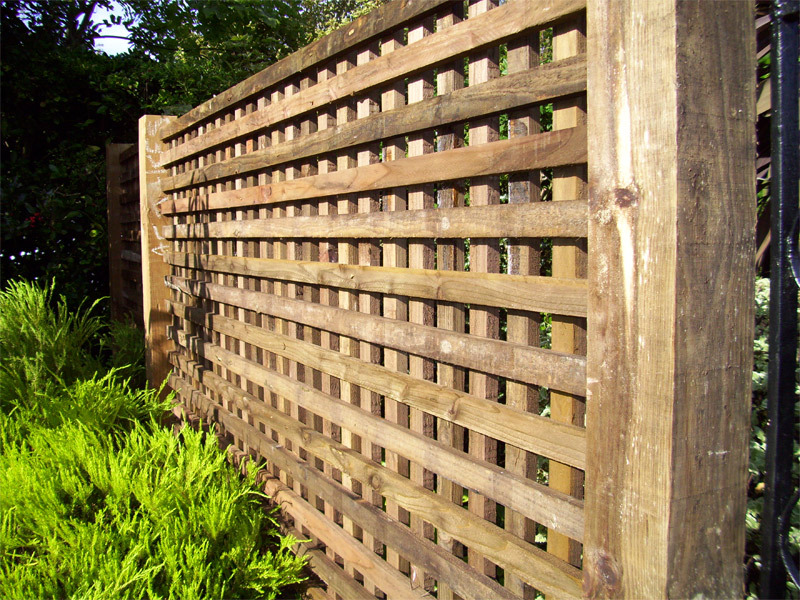 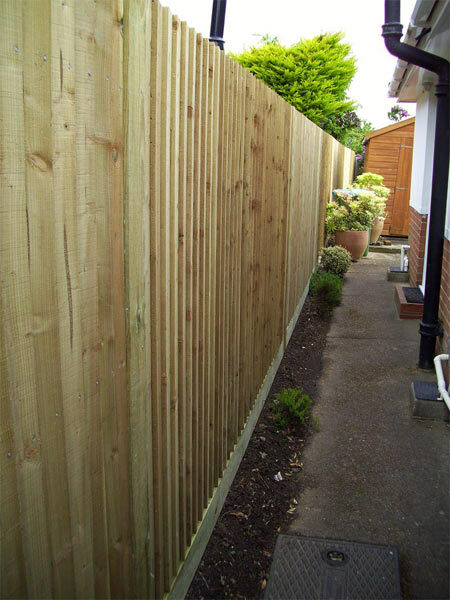 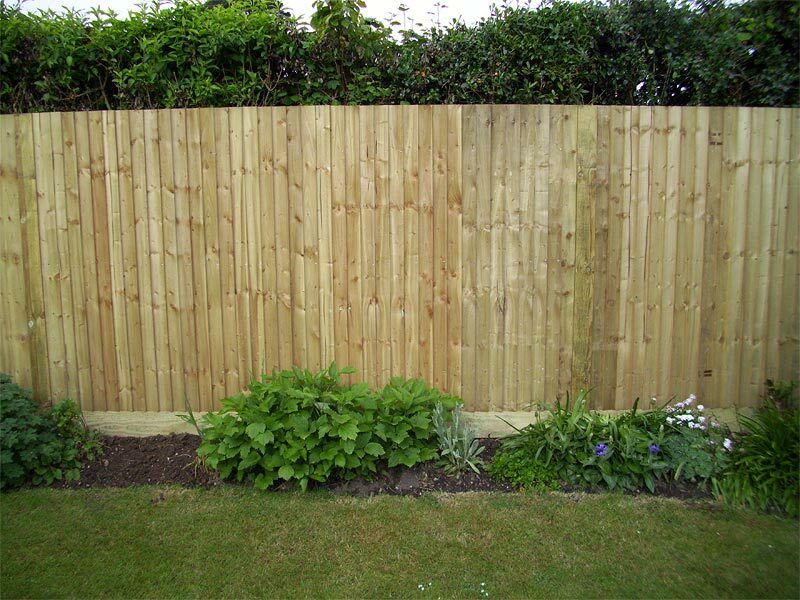 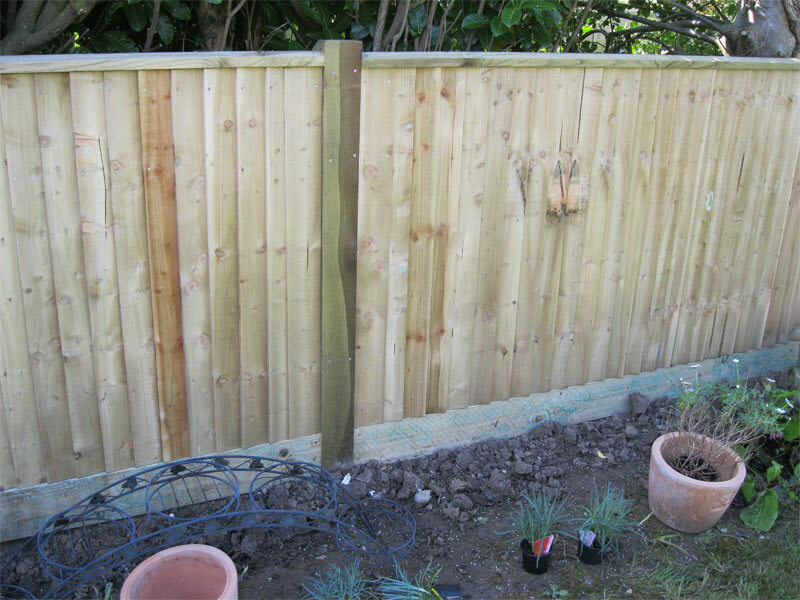 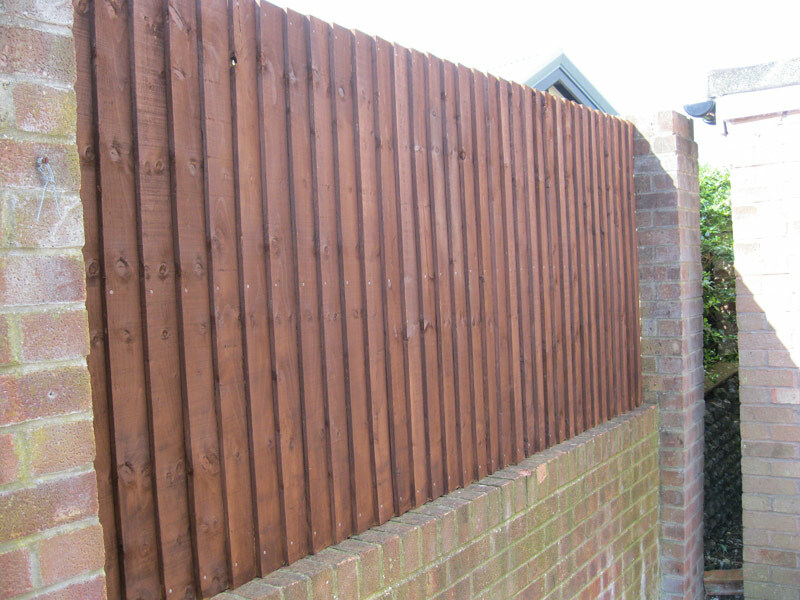 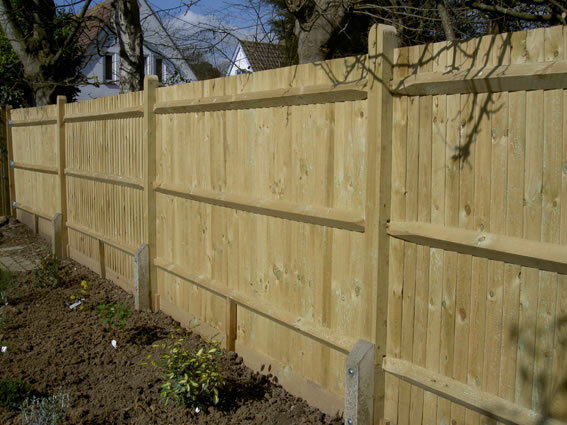 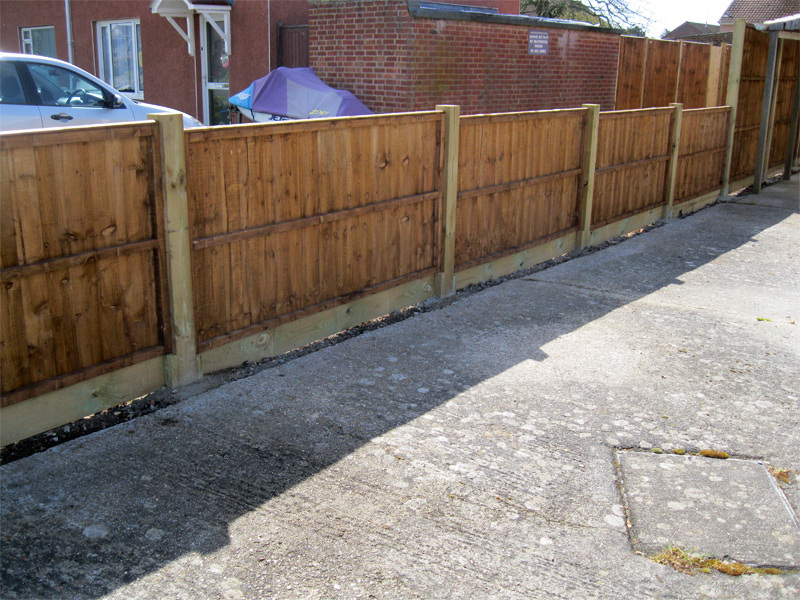 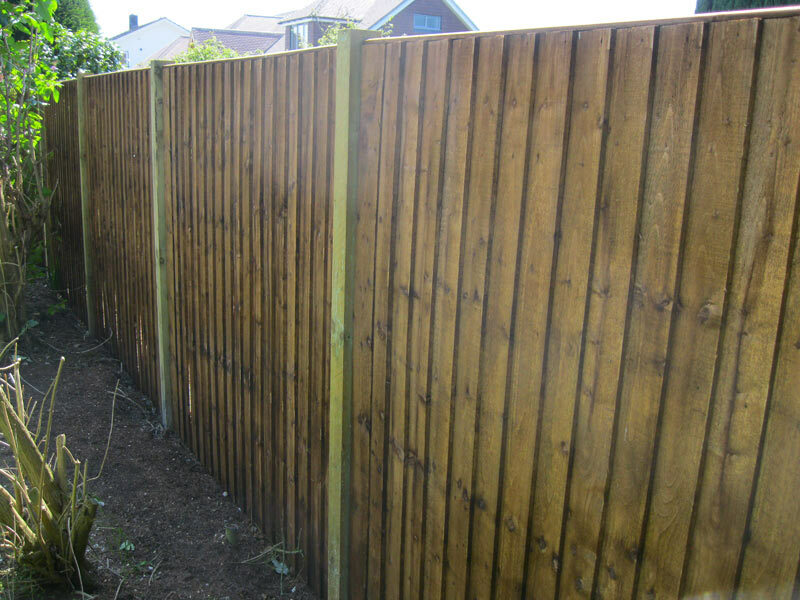 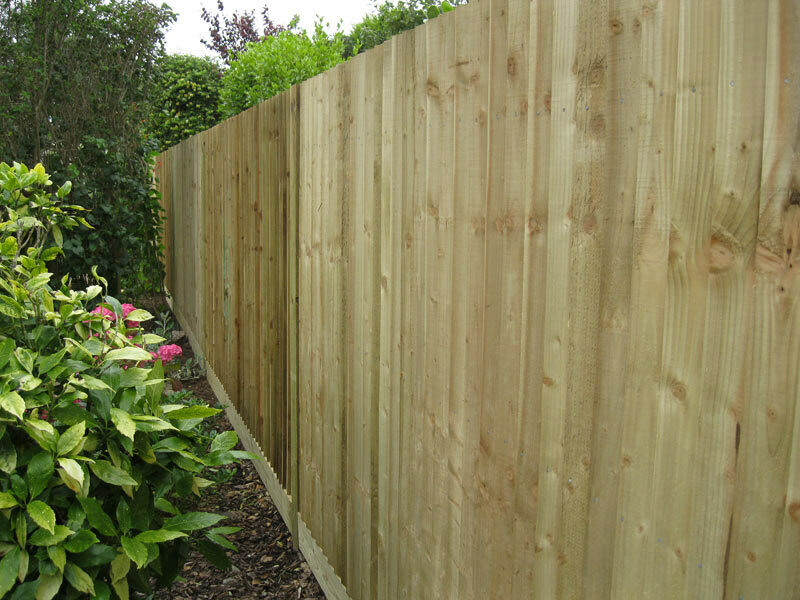 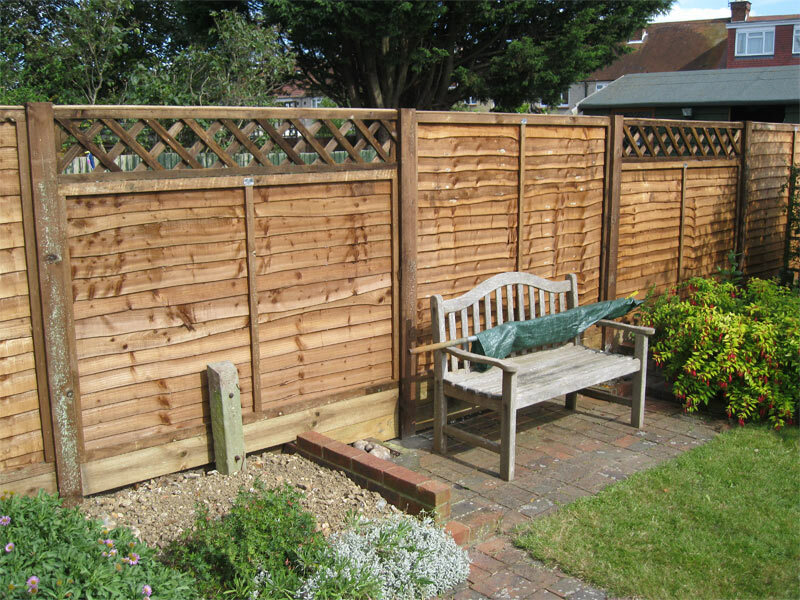 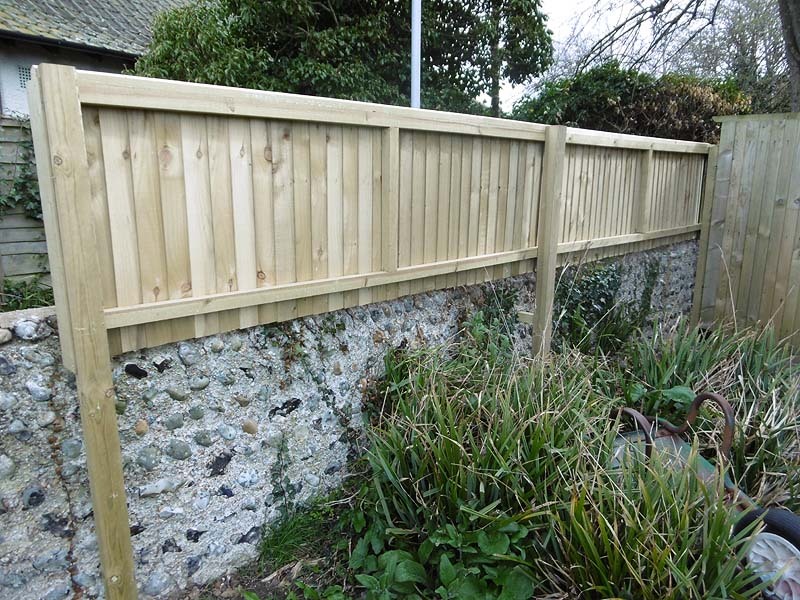 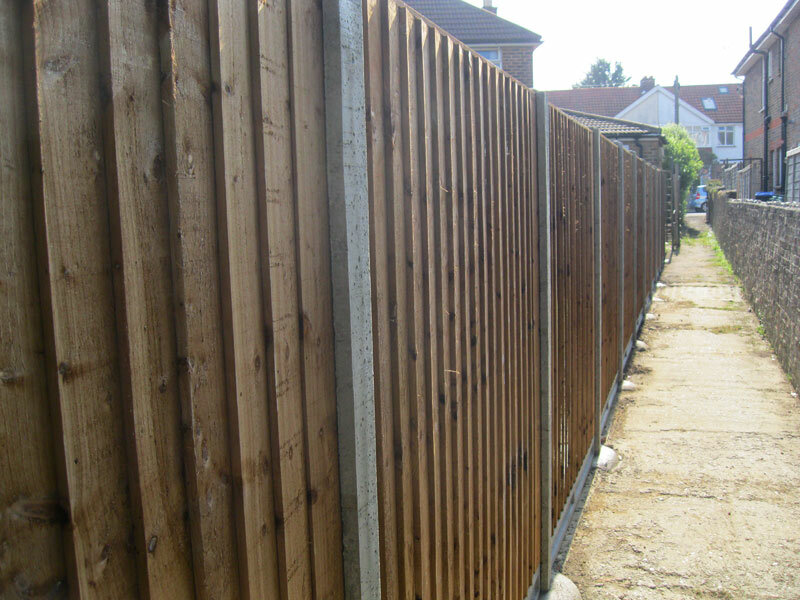 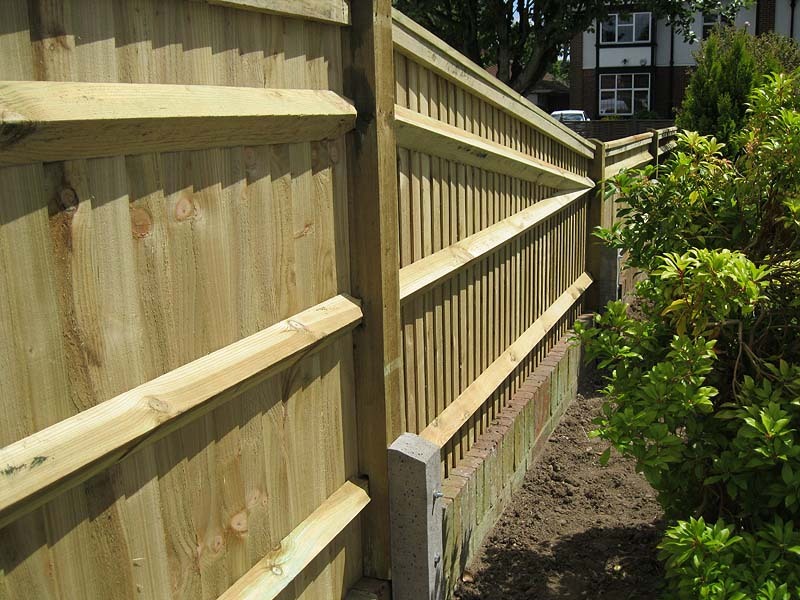 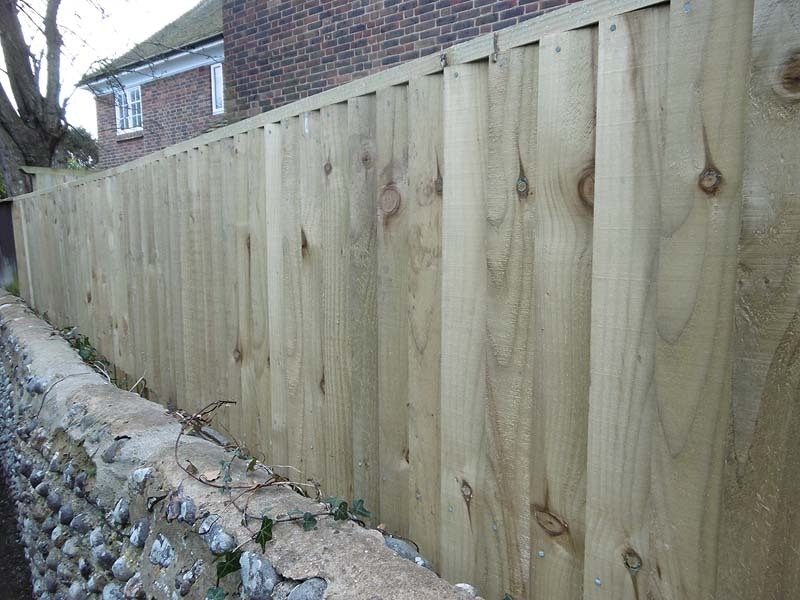 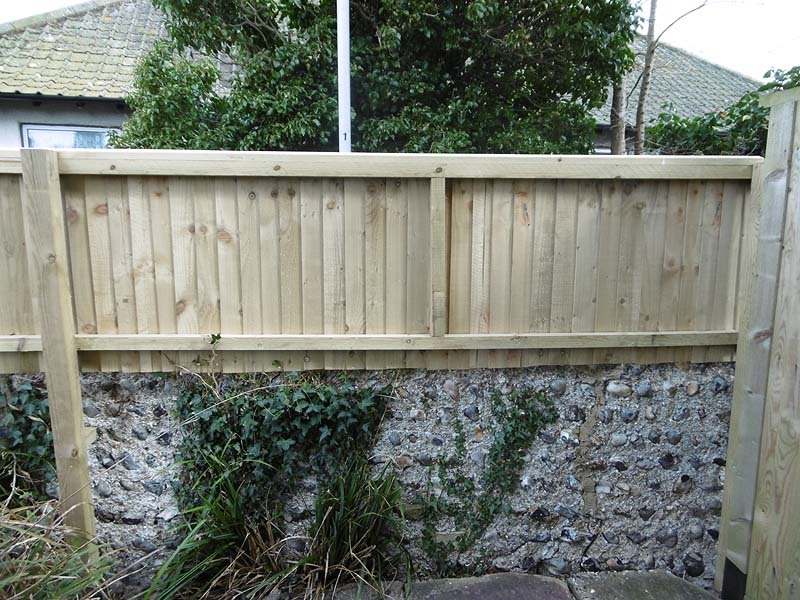 This may be erected to form a fence in its own right but more commonly we add it to fence Panels as a topping for garden fencing. 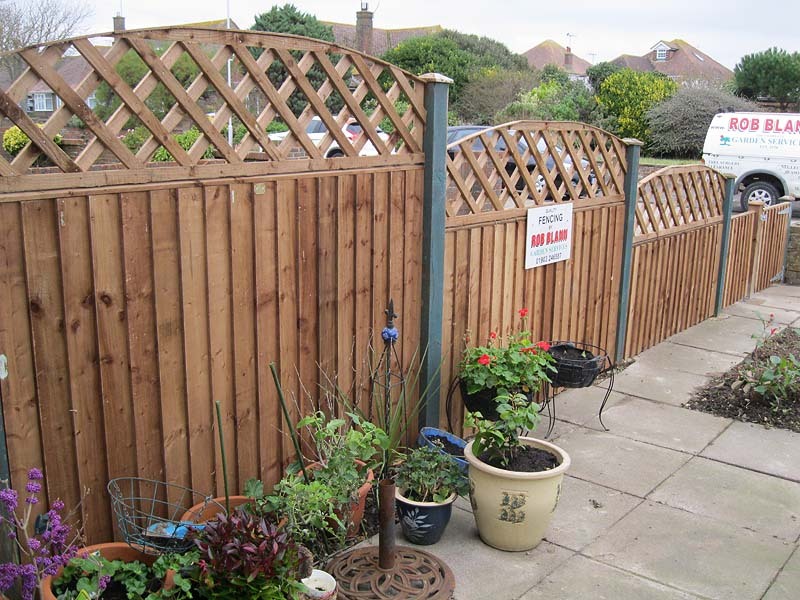 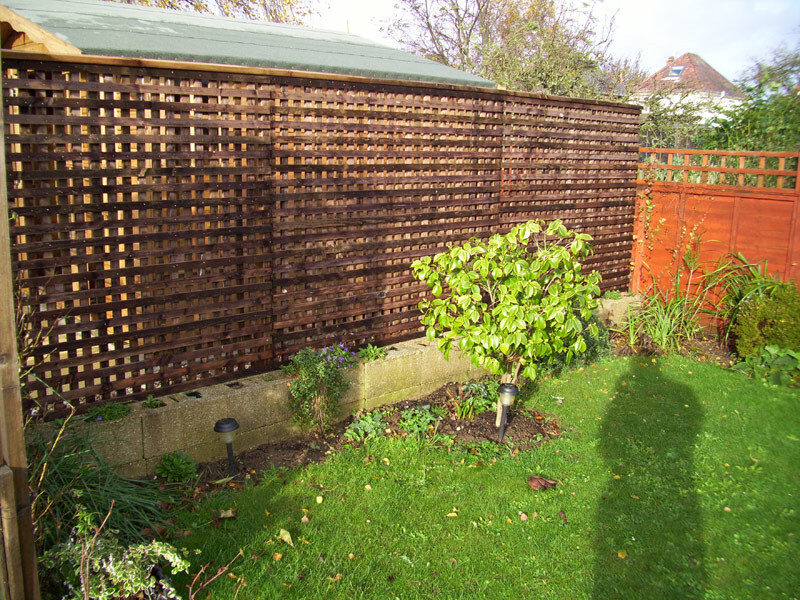 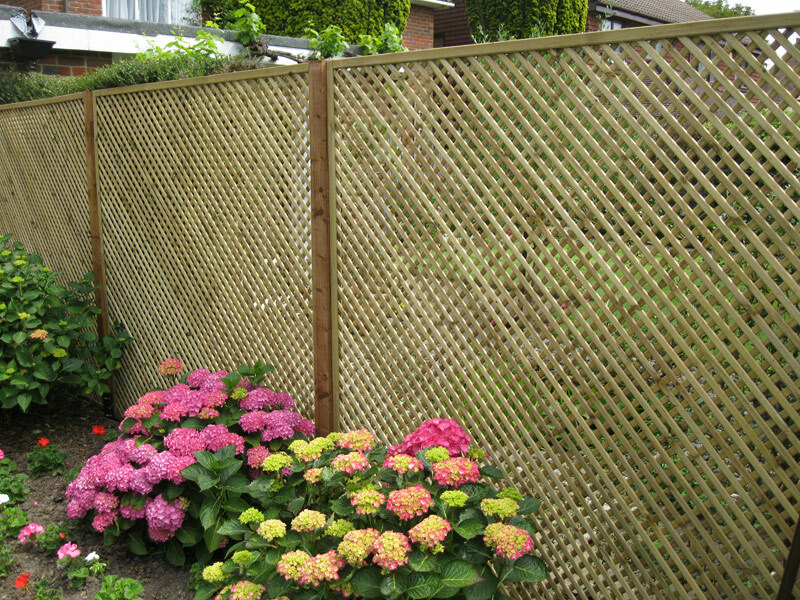 Chainlink as garden fencing gives vision through the fence, and is available with galvanised or green-coated mesh. 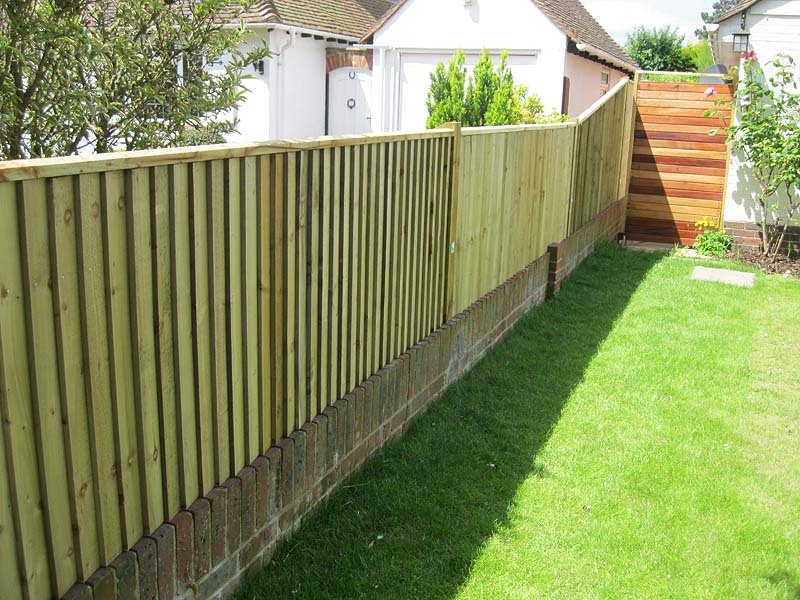 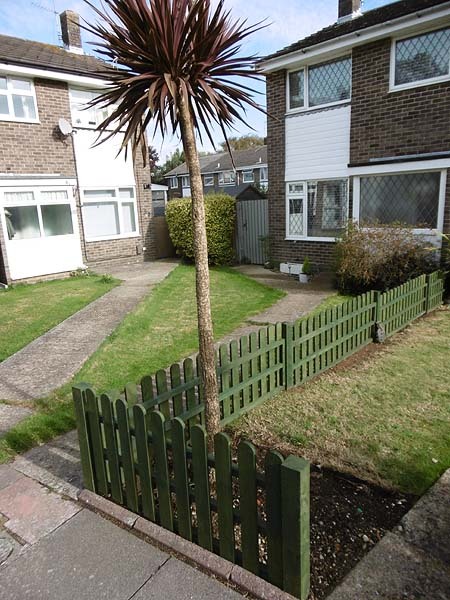 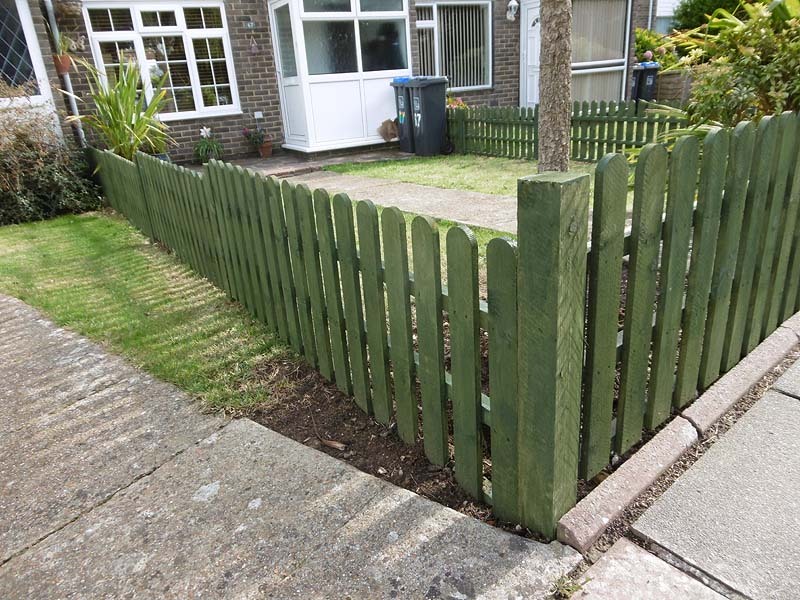 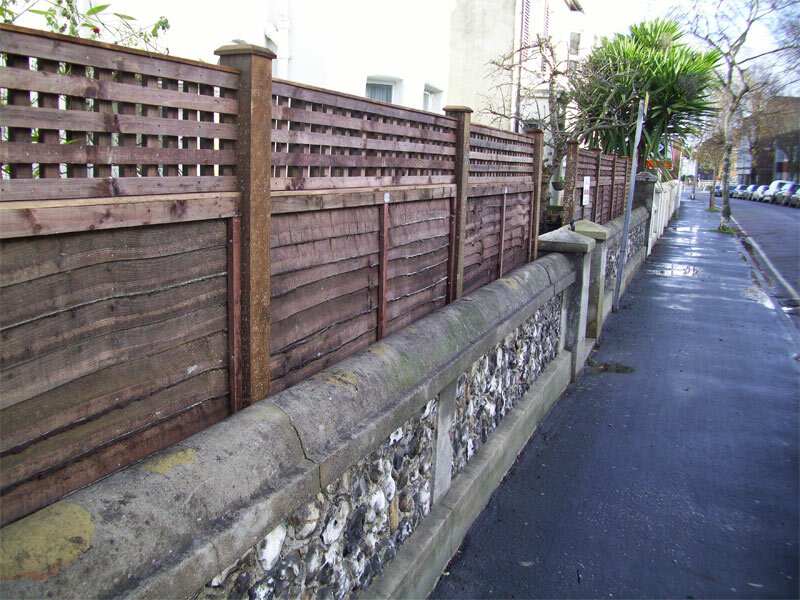 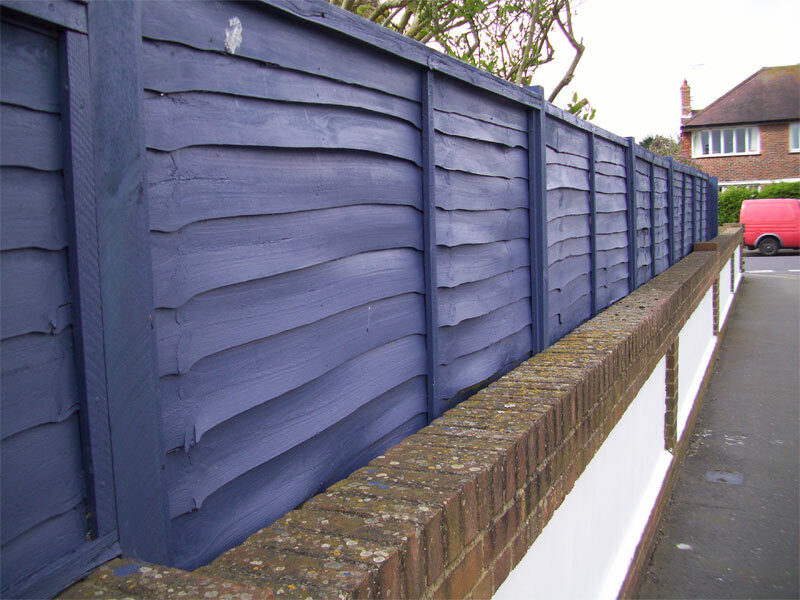 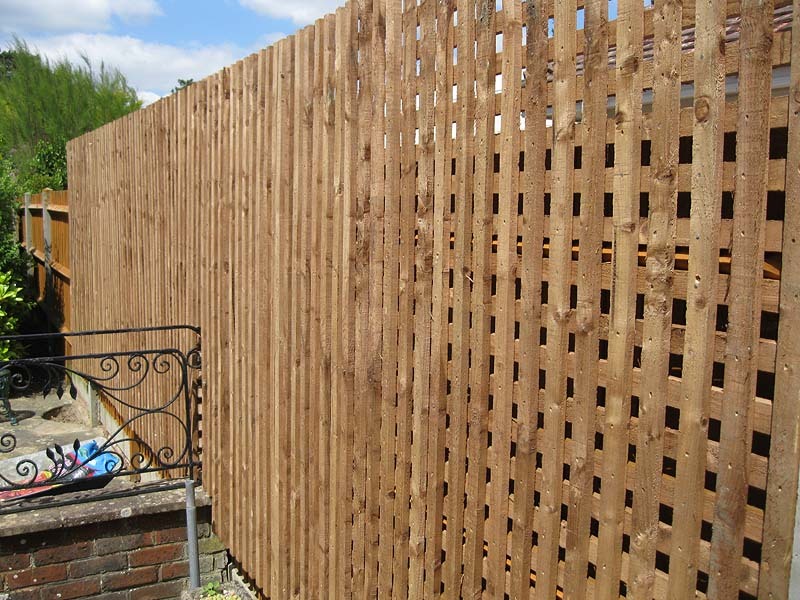 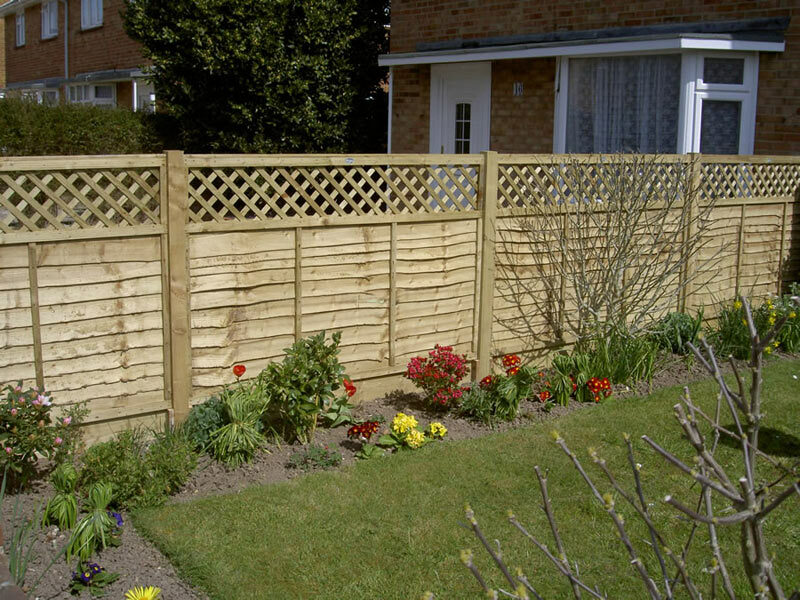 Palisade fences, also known as Picket fences, are used when an unobtrusive fencing solution is required that does not obstruct the view or block out the light. 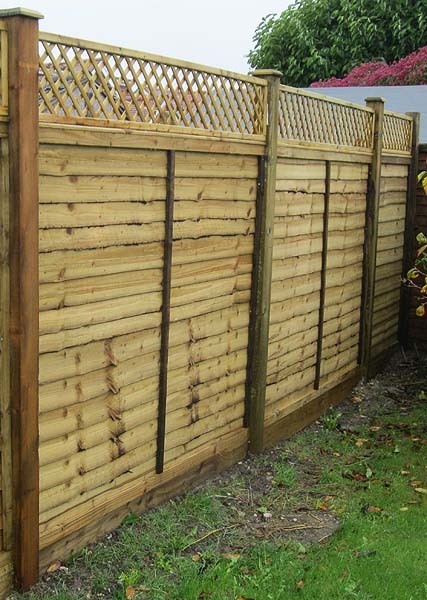 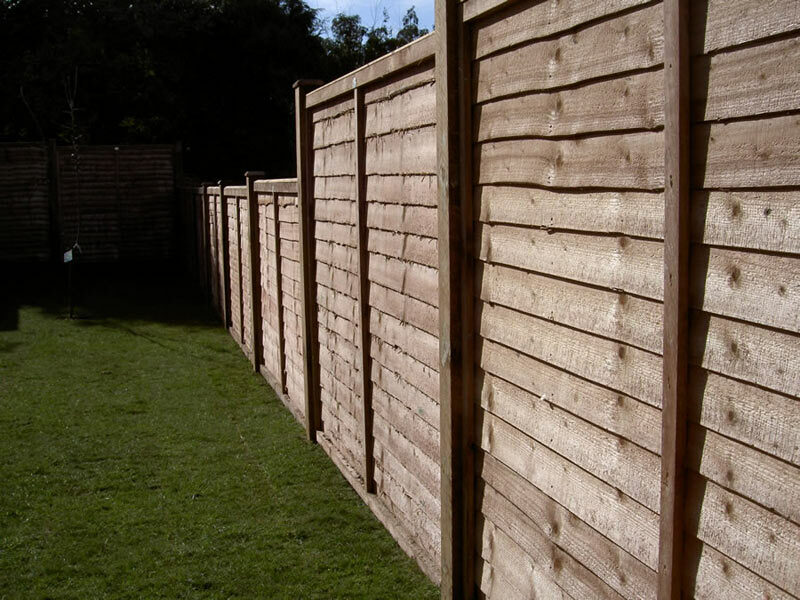 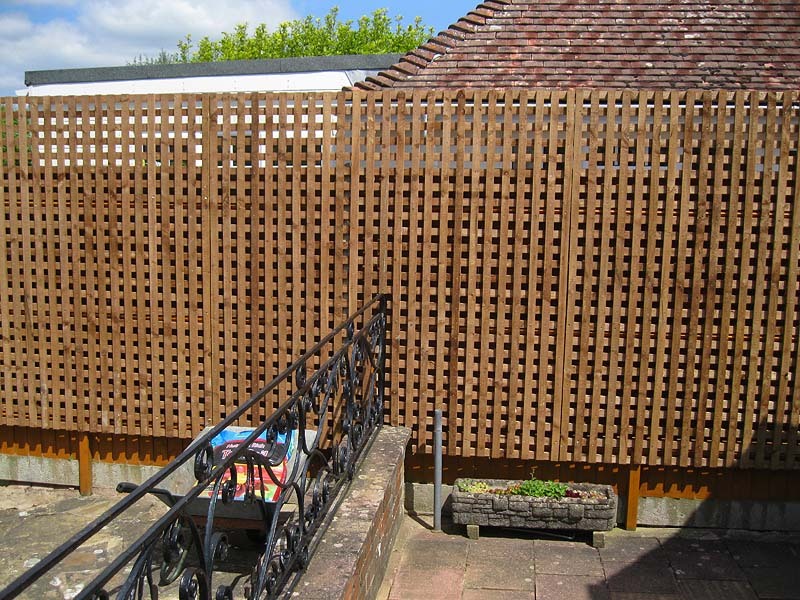 The standard height of Palisade fences are 900mm, 1050mm and 1200mm, although up to 1500mm is available. 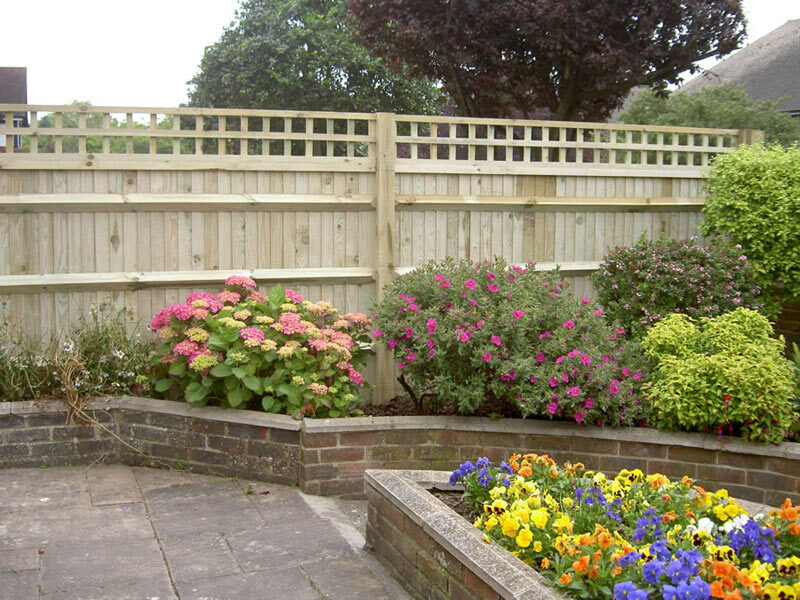 There are 3 types of palisade tops available: pointed top, round top and square top. 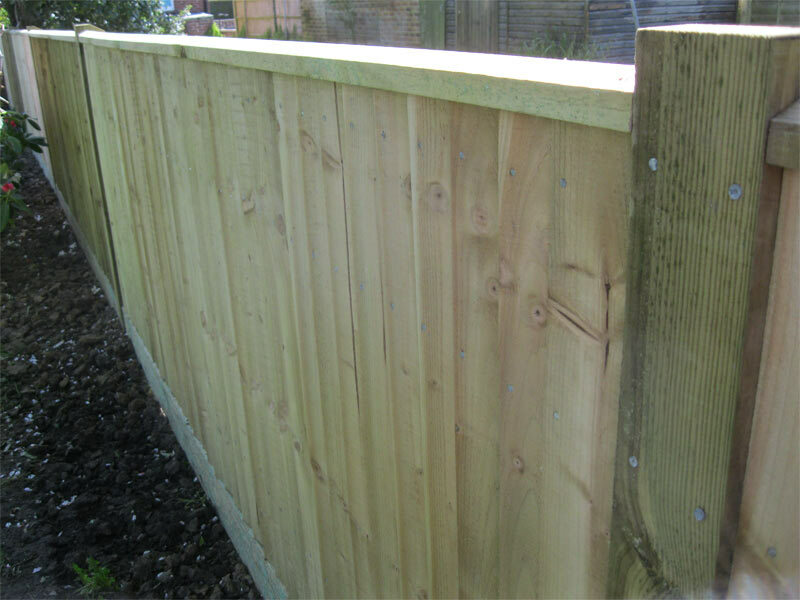 Although more commonly seen in the agricultural sector, Post and Rail is becoming increasingly popular within the domestic area. 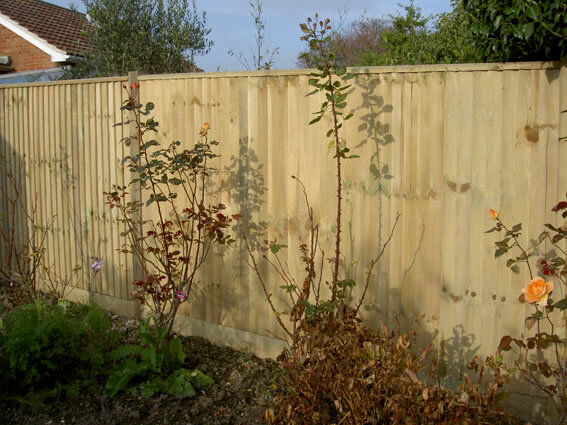 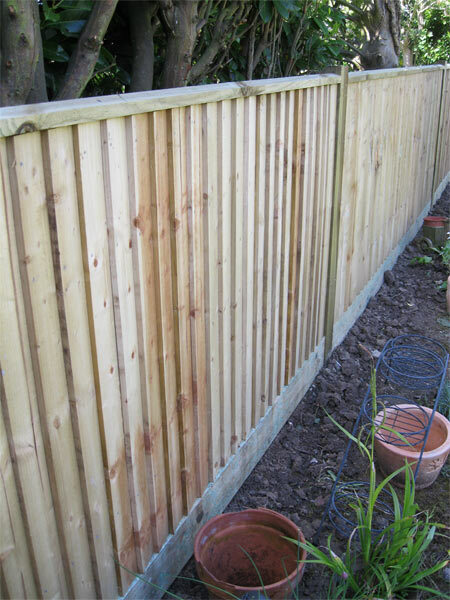 This type of fence is best suited for more rural locations and field boundaries. 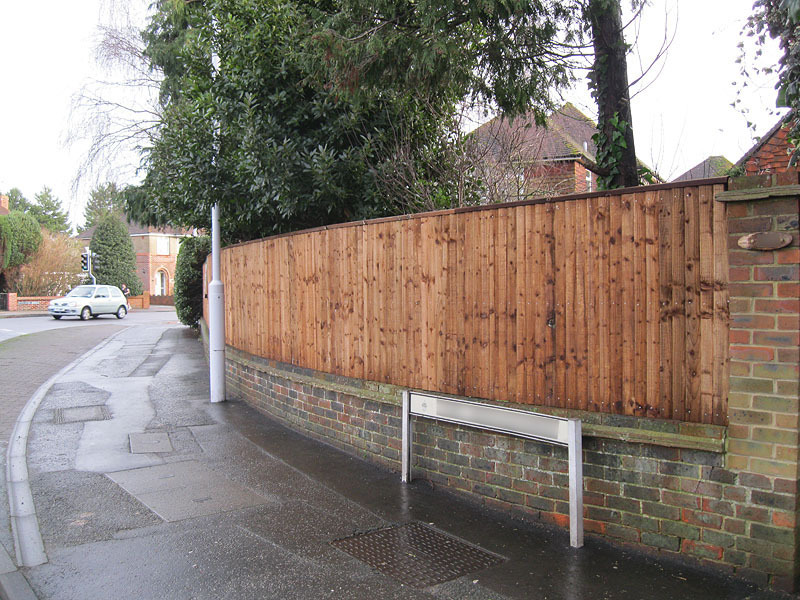 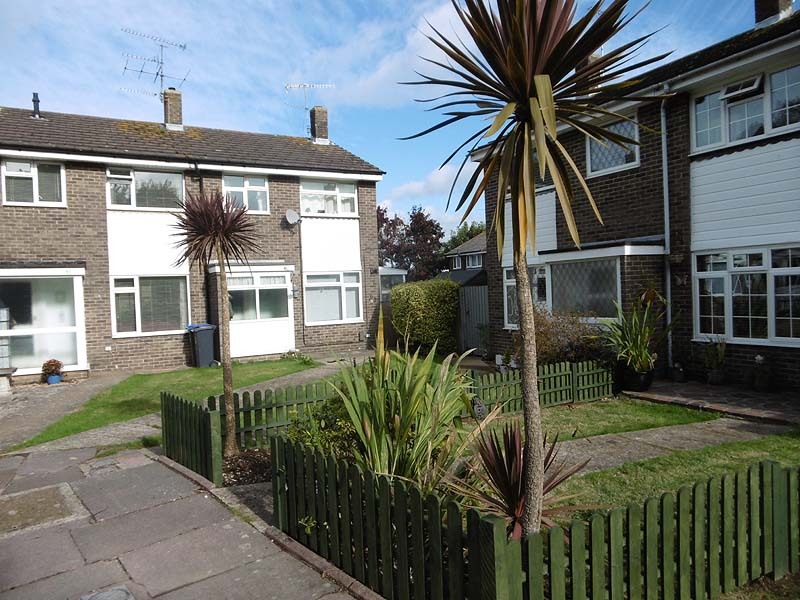 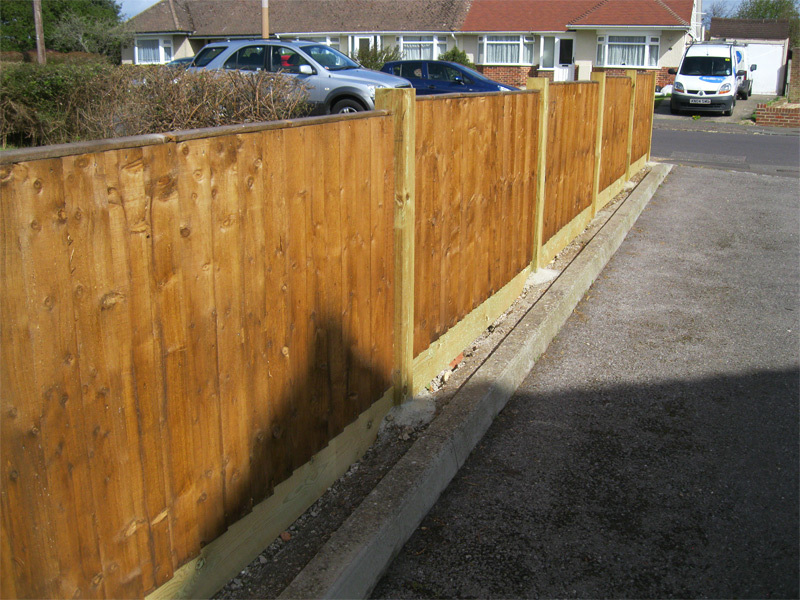 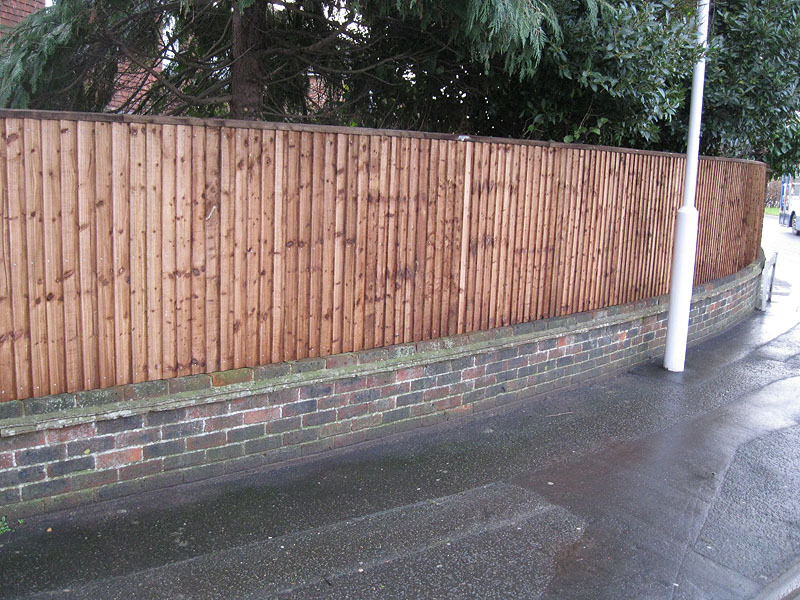 Post and rail can be erected on level or sloping ground. 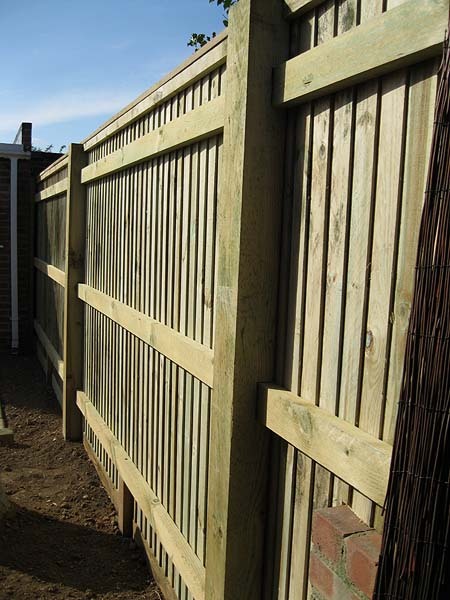 Post and rail is a generic term used to describe any fencing system comprising of solid timber rails. 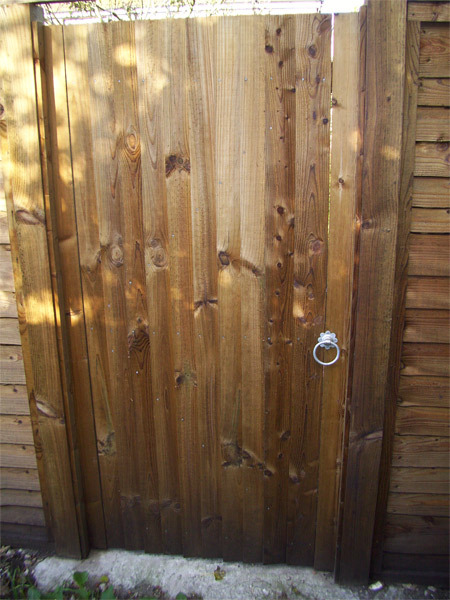 There are a number of common variants such as: sawn, cleft and half-round. 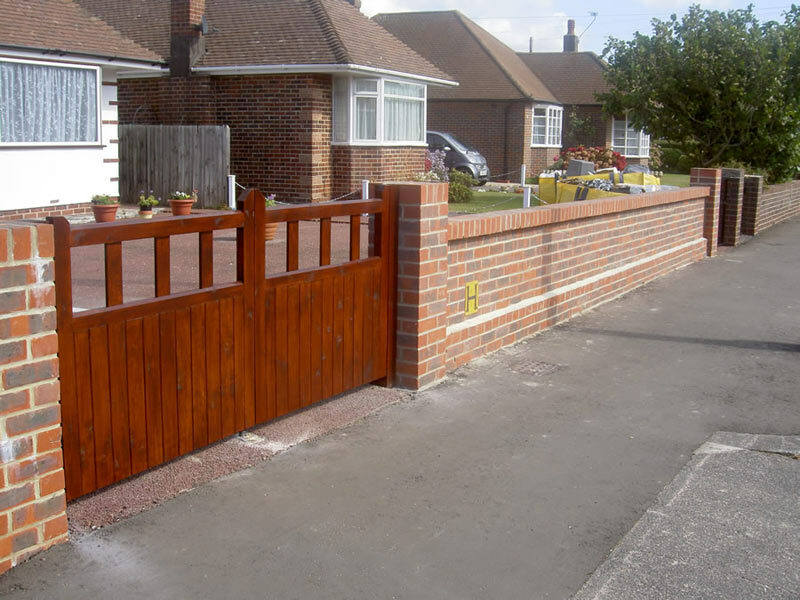 Timber driveway gates can make any entrance way look appealing, and bespoke gates can be made to fit any height and width, while all timber used is pressure-treated to withstand natural weather conditions. 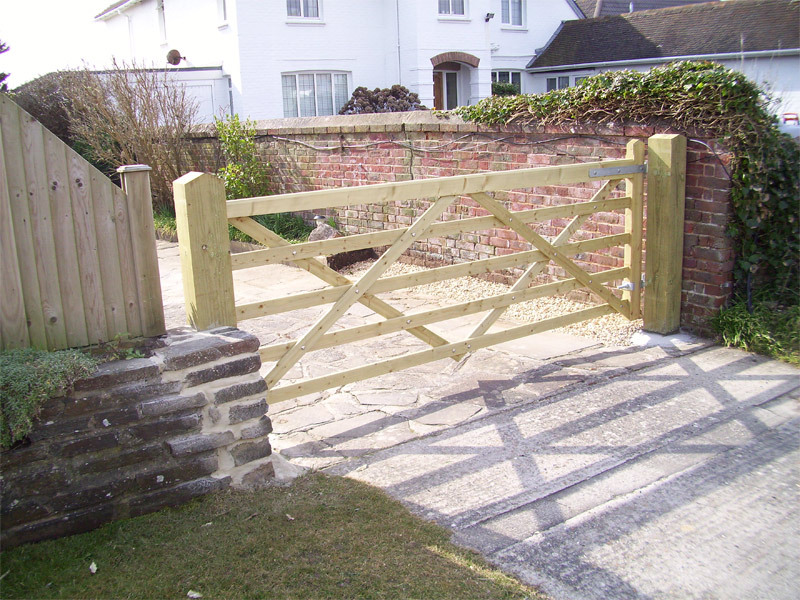 As the name suggests, Field Gates are usually used as entrance gates to fields and farms, but are more increasingly being used in domestic situations to give a rural feel about the place. 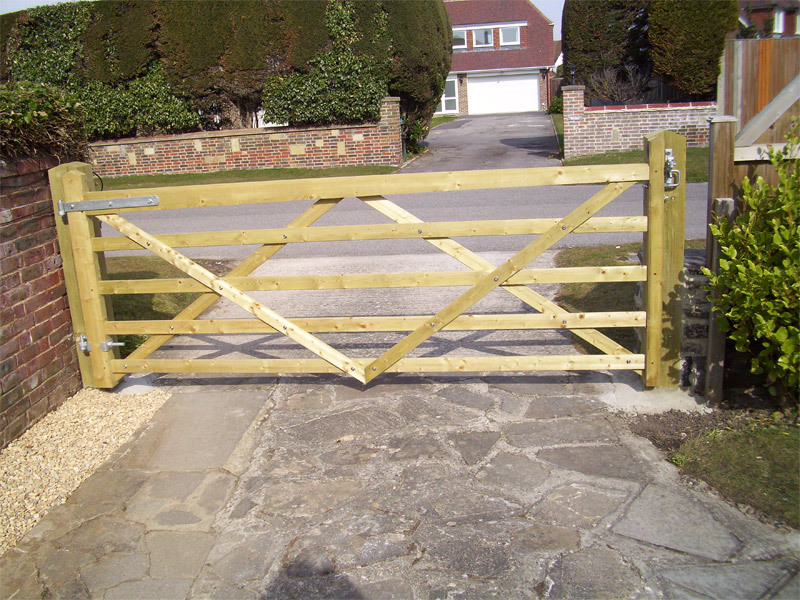 The most common now being used at the driveway entrance to peoples’ homes are the 5 bar gate and the Yeoman gate. 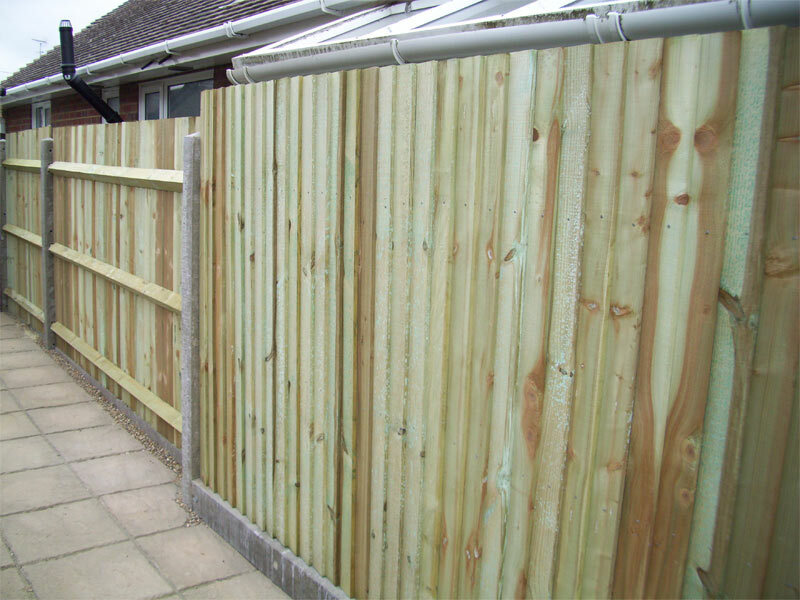 All timber is pressure-treated. 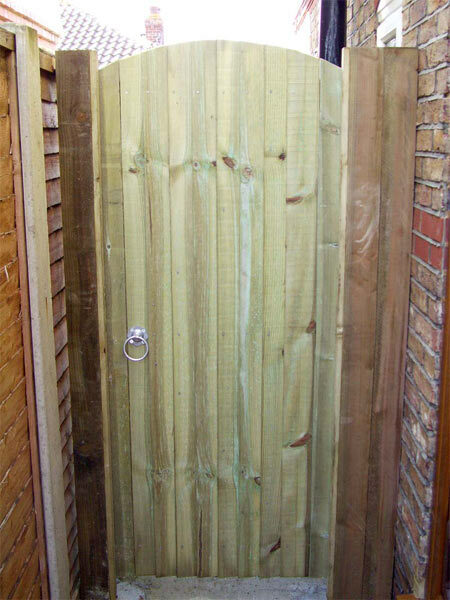 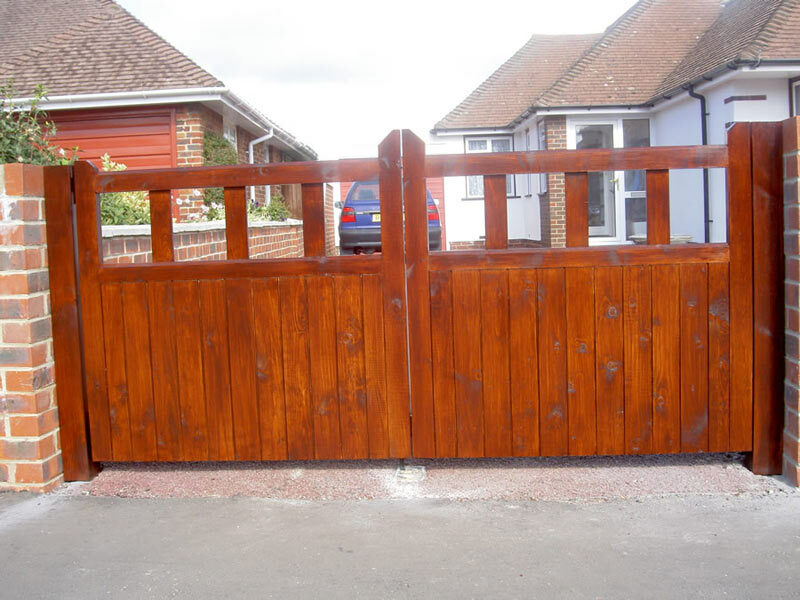 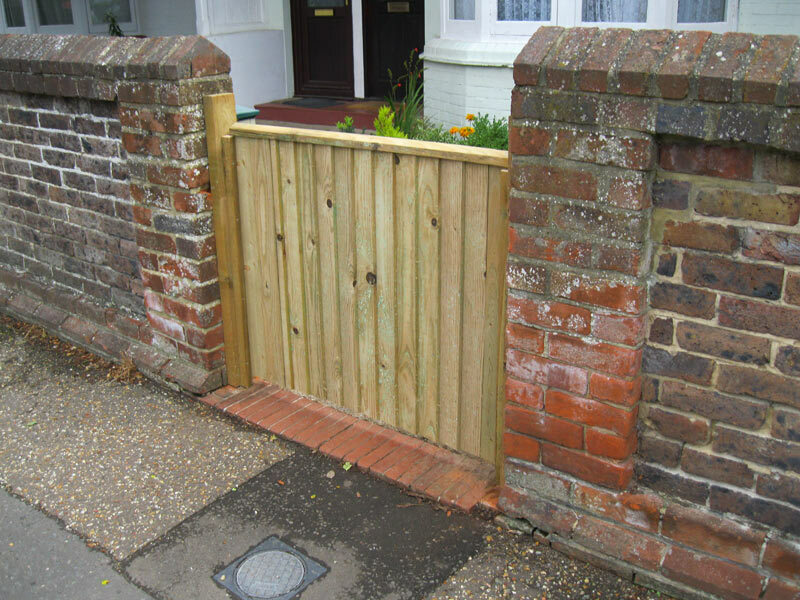 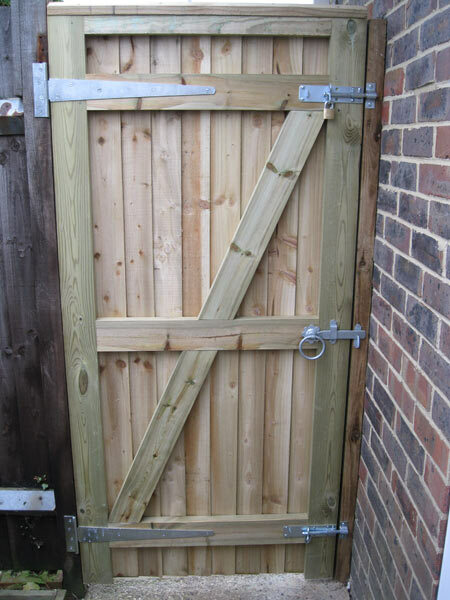 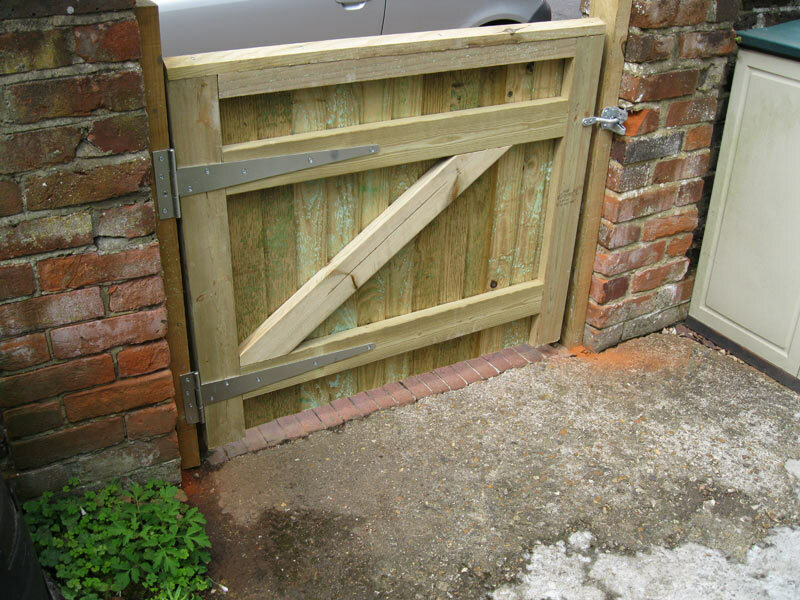 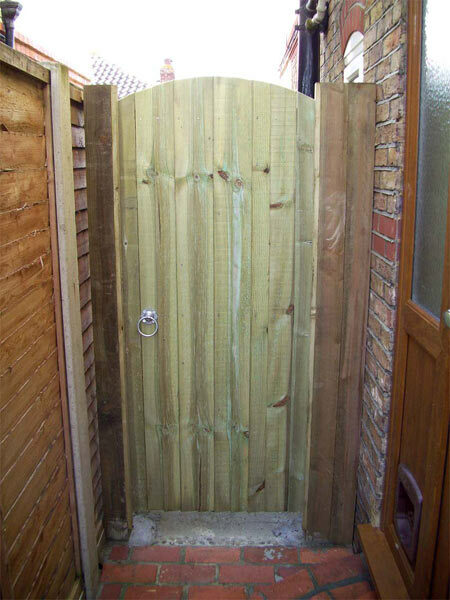 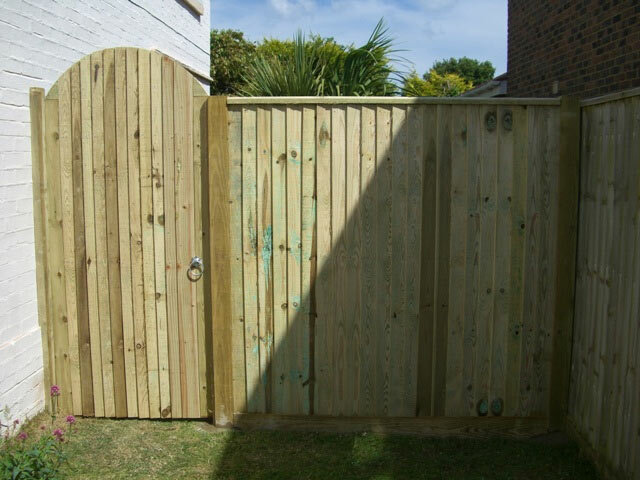 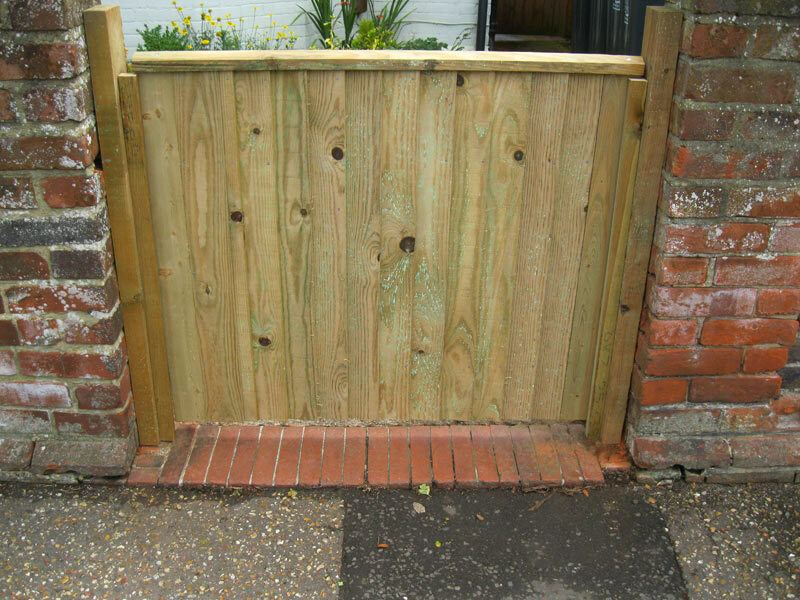 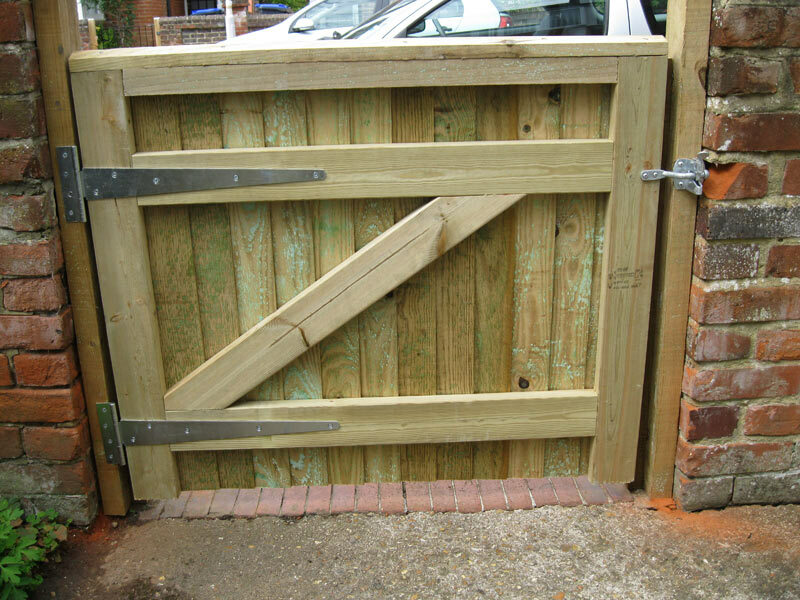 Side entrance gates are more often than not constructed from timber and are from 30 inches to 48 inches wide. 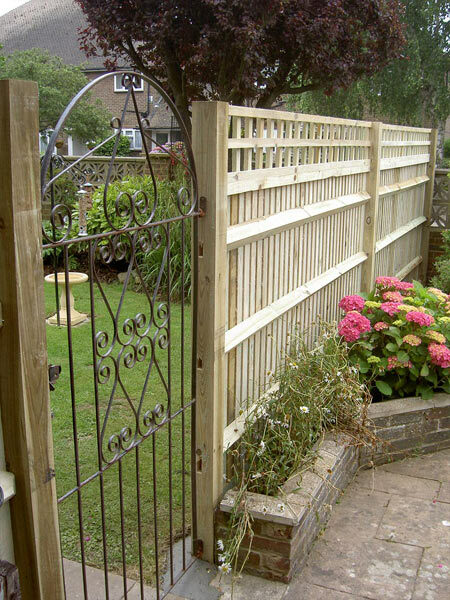 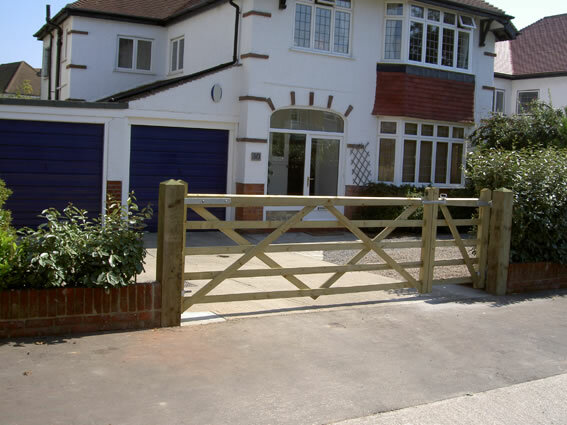 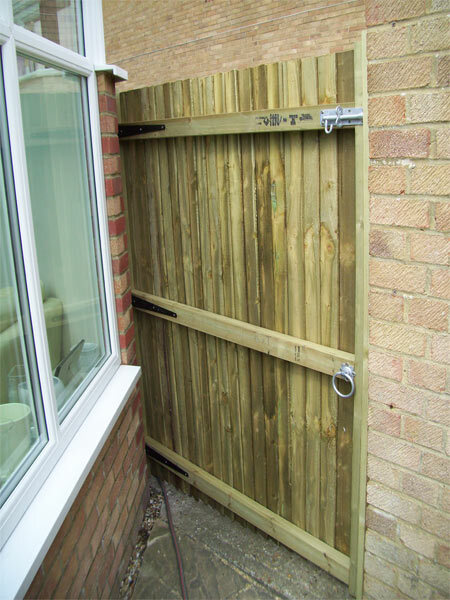 The height can vary, from small 900mm gates up to 1800mm high gates. 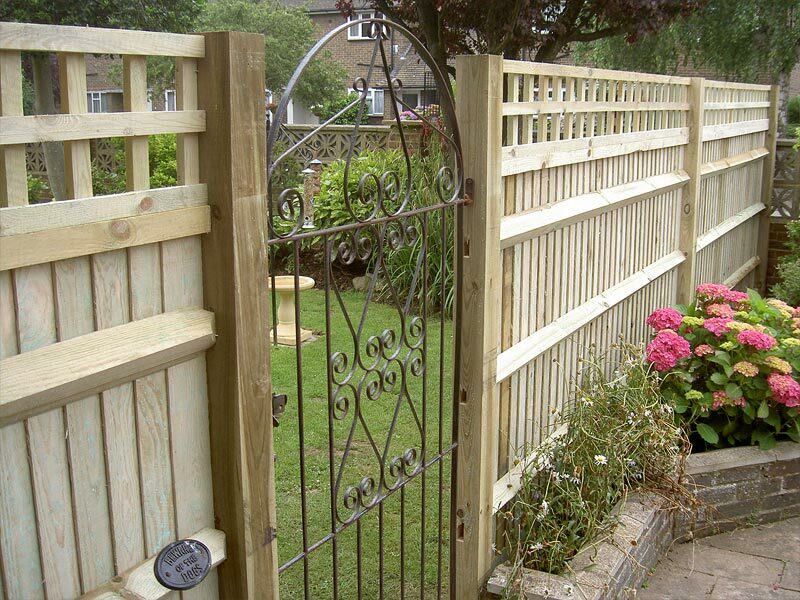 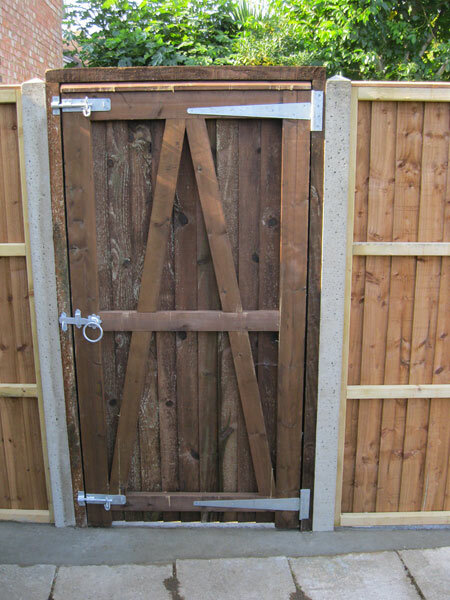 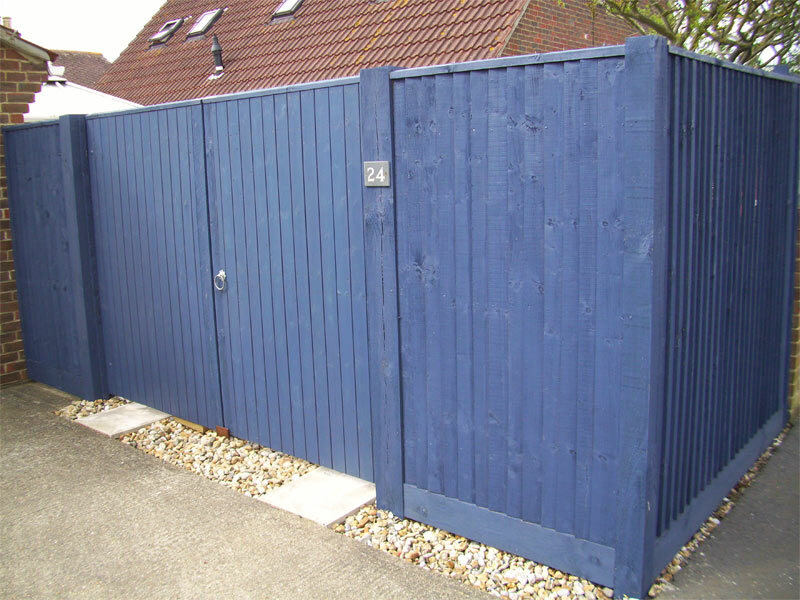 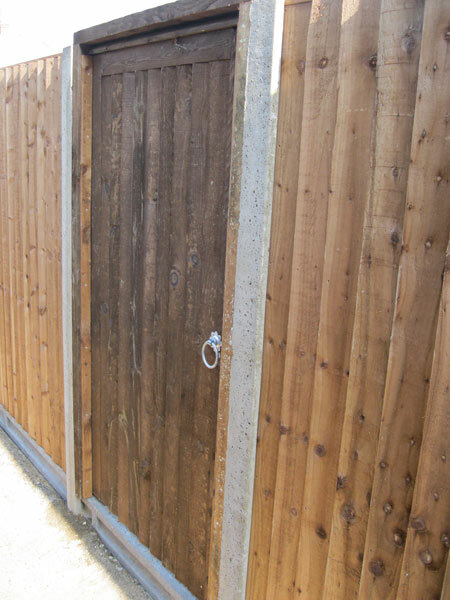 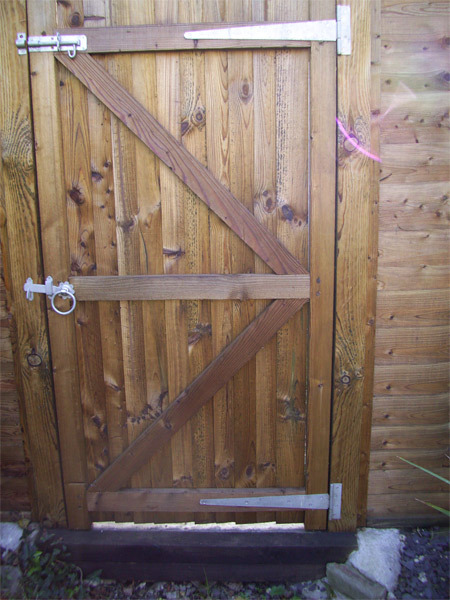 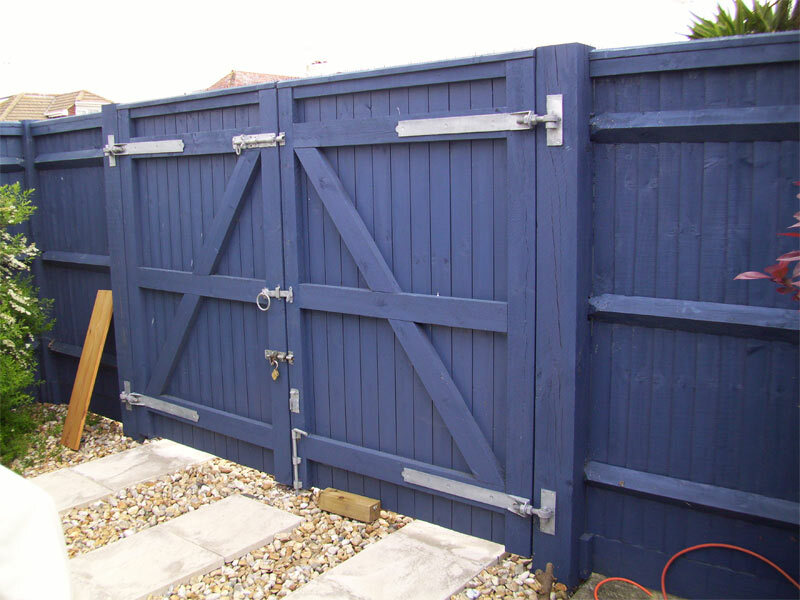 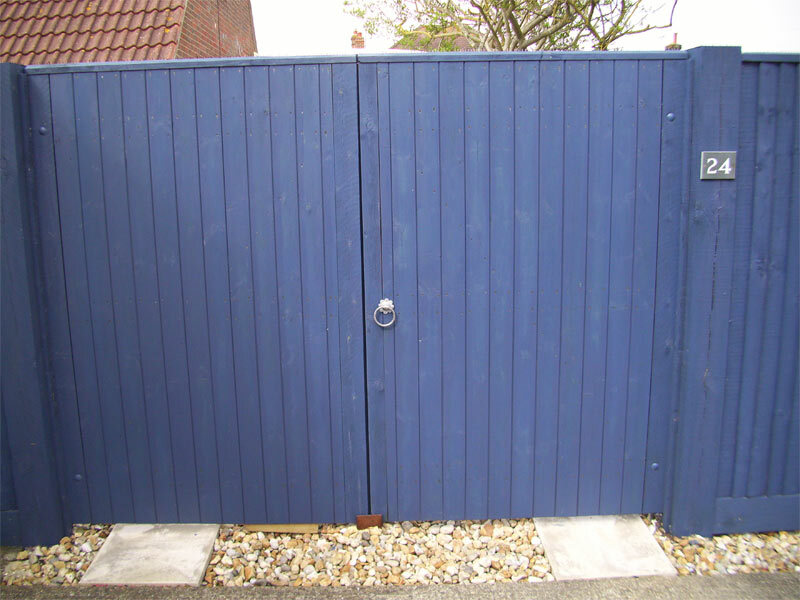 The gates can be of closeboard, panel, tongue & grooved or palisade style and can be made to order. 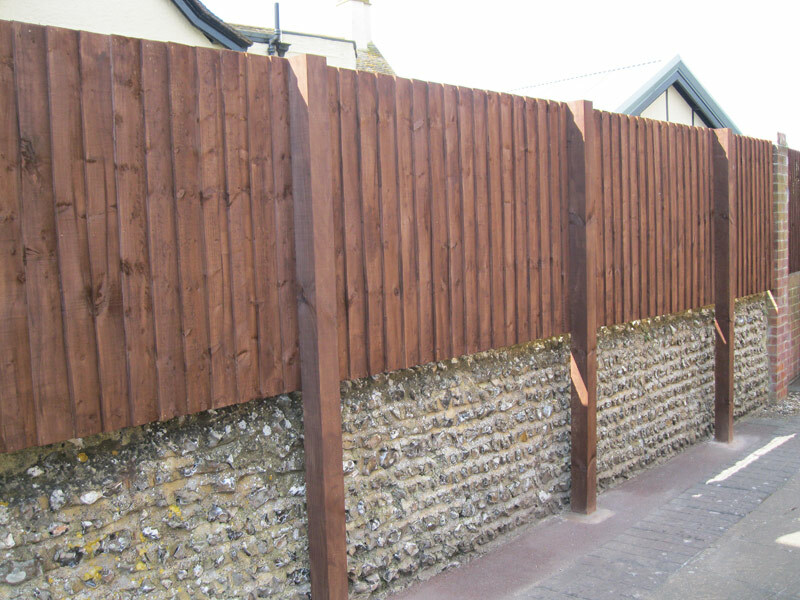 All timber is pressure-treated.